Hi, I’m Sam! I’ll be honest, I’m a total craft addict. I have a whole career based on working with all different types of crafts. Some of my work has also been featured in many arts and crafts magazines over the years. I love to share my passion and knowledge for crafts here on my website. So you want to make some beautiful pillow boxes? Don’t you love how easy they are to create when you have a nifty electronic cutting machine? Today I will walk you through the steps on how I created some beautiful pillow boxes with my Cricut Maker. You can easily follow the same steps for a Cricut Explore Air 2, Silhouette Cameo or other similar cutting machine. I have also included a link to a free Cricut box template that you can use for your cutting file and I will show you how to change your settings in order to score one of the layers with your machine. So let’s get started shall we. 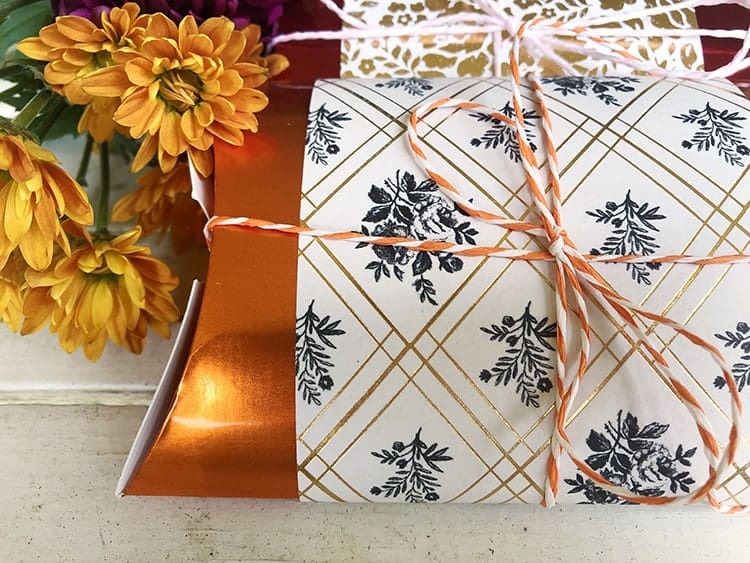 Find below the steps to follow in order to whip up these adorable pillow gift boxes. Grab your FREE Cricut Pillow Box Template by Bird’s Cards. Upload the template into Cricut Design Space. Resize the pillow box. You can either make it smaller to have a small pillow box perfect for small gifts or enlarge it to make a large pillow box. I’m filling my box up with rolled up dollars, so I wanted to make mine slightly larger, so that I could fit a small card as well. I resized mine to 7.5″ in width. You will notice that you have two layers on your mat. Currently, both layers are set to “cut”, but we need to change the dashed line template to “score” instead. When you ask Cricut to “score” you are essentially asking it to created indented lines in your card which makes folding so much easier! To change the layer to score, click on the top layer, next change to “Score” on the drop-down menu under “Linetype”. Because we want the Cricut Software to see these two layers are separate but yet one object, we want to use the “attach” function. This means that the machine will be able to cut and score this template as a single image rather than two separate layers. If you don’t use the attach option, the software will rearrange your layers on your mat according to what saves the most amount of space. This causes problems because your score lines might end up on the wrong spots on your template. Go ahead and select both layers and then click the “Attach” button on the bottom right of your screen. Click the ‘Make It‘ green button on the top right section of the design space. Now important to note that there should only be ONE mat on the left-hand side here. Because we chose to attach the layers, the software knows that we want to do two things to one image – score and then cut. If you have two mats here – you need to go back and attach those layers together first. You can also set the number of copies you wish to cut on the left-hand side as well. Next, select your material. If you are using cardstock, you should find your option on the first screen. 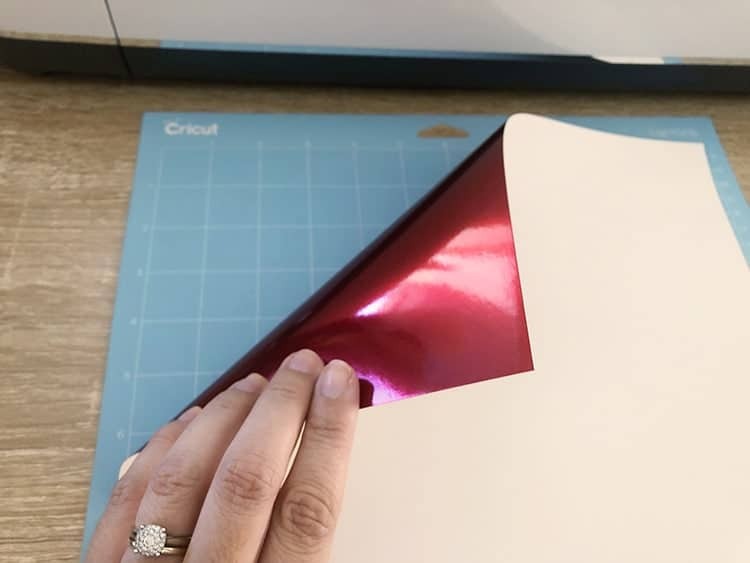 If like me you are working with the pretty Cricut Foil Poster Board, you will need to click on “Browse All Materials“. Type “Foil Poster Board” in the search box and simply click on the option that comes up. We are nearly there – hang tight. Next, we need to make sure that we are using the correct tools. Cardstock should be cut on the Green StandardGrip mat. For Foil Poster Board I HIGHLY recommend you use the Blue LightGrip Mat. I also recommend that you place the poster board shiny side down, so that the scoring lines happen on the back. Lastly, ensure that the software has selected the right blades. Cricut Design Space suggested I use the Cricut Double Scoring Wheel – but I don’t have one, so I simply clicked on “Edit Tools” and selected the “Single Scoring Wheel” from the options. If you don’t have the scoring wheel, you can also choose to use the “Scoring Stylus” here. Next, you will see that the software will instruct you to load up the scoring wheel into your Cricut Machine. To do so, simply open the clamp on your “B” accessory and remove the current blade. Pop the scoring wheel into the spot and simply close the clamp again. Once the machine has scored the card, it will stop and instruct you to replace the scoring wheel with the fine cut blade. To do so simply repeat the steps above. 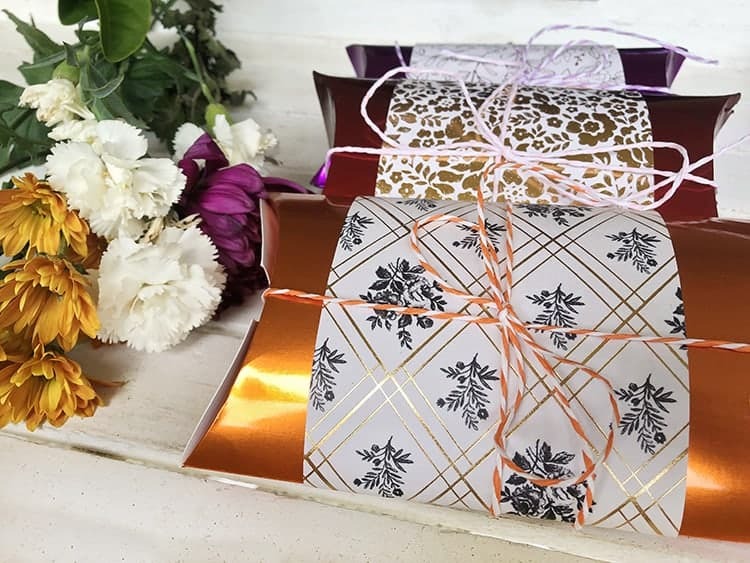 Find below the step-by-step instructions on how to fold and decorate your pillow gift box. 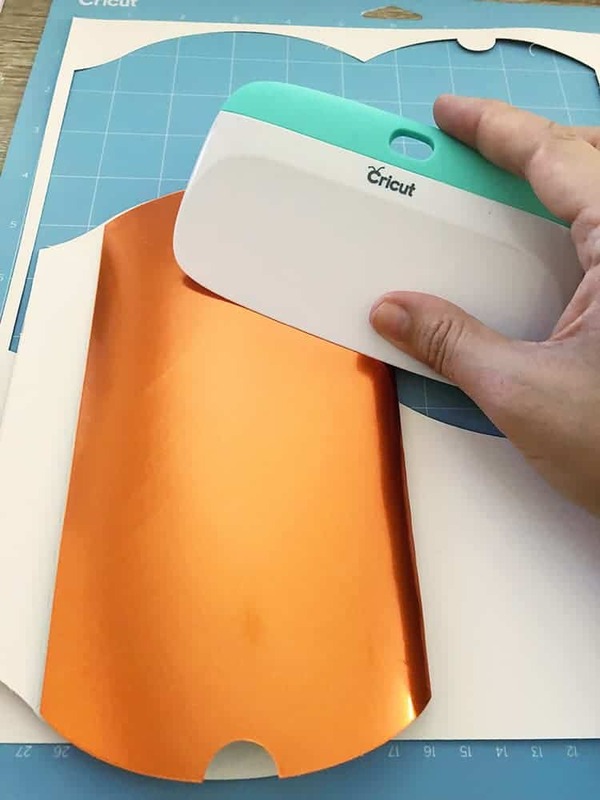 Carefully lift up your cut-out of the box from your Cricut Mat. You should be able to see the score dash lines. Carefully fold along these lines. I use the Cricut XL Scraper to smooth down my folds. I also like folding along each score before I start glueing. Use some strong tacky glue such as a hot glue gun or Helmar 450 Quick Dry Adhesive and glue along the seam fold of your box. Give it a few seconds to set and dry. 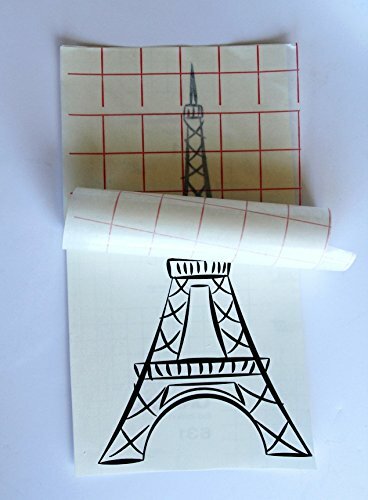 Cut your patterned paper to suit the size of the box. If you resized your box to 7.5″ like mine, you can go ahead and cut your paper to 4″ x 9″. Simply use the same glue to adhere this around your box. Close one side of your pillow box. Fill your box with the gifts. This could be a gift card, cute sweets, cash, themed gifts etc. My box is for a wedding and I’m filling it with foreign currency so that they can use the cash on their honeymoon. Close the other end of your box once you are done. 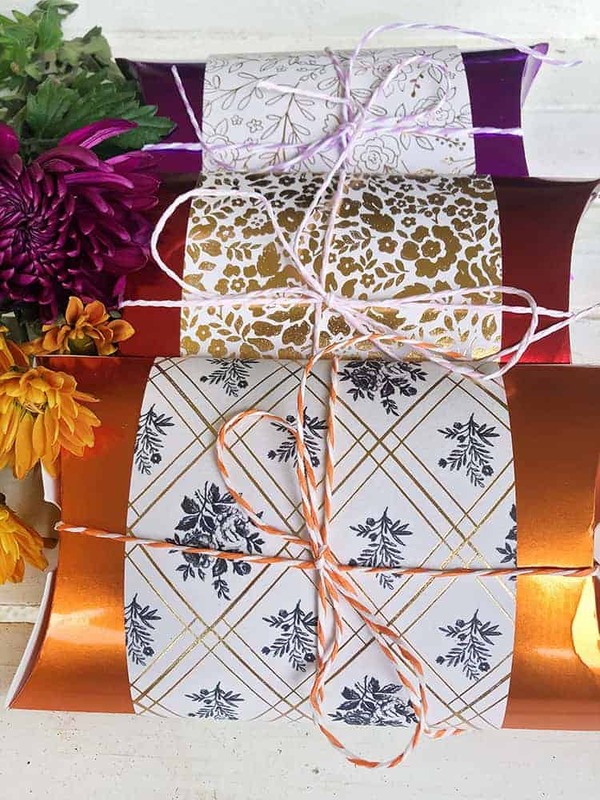 Next, use your paper cord and wrap it around the box and tie it up in the front with a bow. This will help to ensure that the flaps of your box stay closed till gift opening time. Help me with some ideas, what are you planning on popping inside your pillow box? Enjoy the process of creating guys. ps. 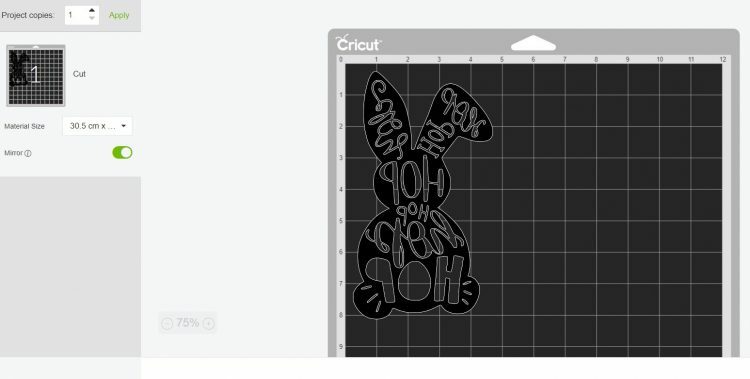 Hop over to our Cricut Blog where you can find loads more tutorials and how-to posts. Did you recently buy a Cricut machine and are now wondering how to get started? Perhaps, you’re still on the fence about buying it because you’re not sure how it works. 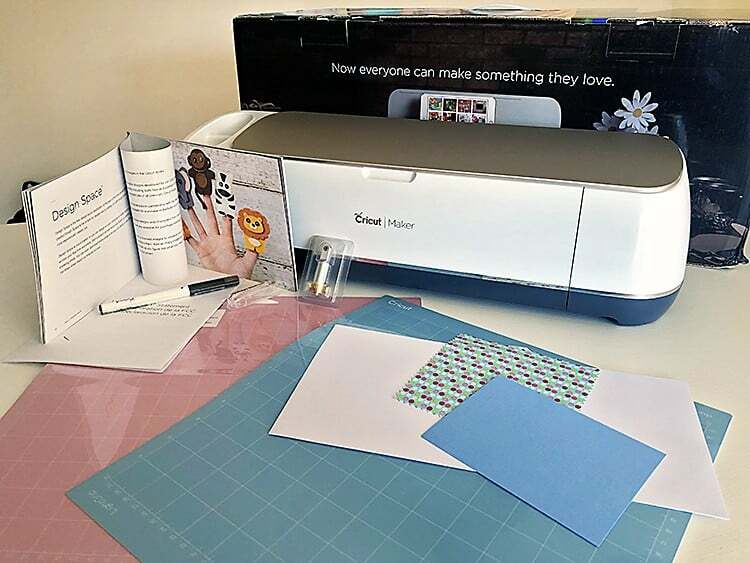 In either case, this article will break down all your doubts about how to use a Cricut Machine and provide a step-by-step guide on how to get started. So without further ado, let’s get you started with our “Cricut for dummies” beginner’s guide. I’m going to make the assumption that you might still be in the researching phase of your machine and that are you just trying to wrap your head around what you can do with a Cricut Machine. We have a wonderful post on what a Cricut machine is, together with what you can do with a Cricut Machine here. The Cricut Maker is the latest release and it is geared towards cutting fabric. If you wish to work with paper and vinyl, you can save yourself a few bucks by grabbing the Cricut Explore Air 2 instead. Cricut also has a small heat press, called the Cricut EasyPress 2 on the market. But for the sake of this article, we will be focusing on their cutting machines. For more info on the Cricut EasyPress 2, click here. 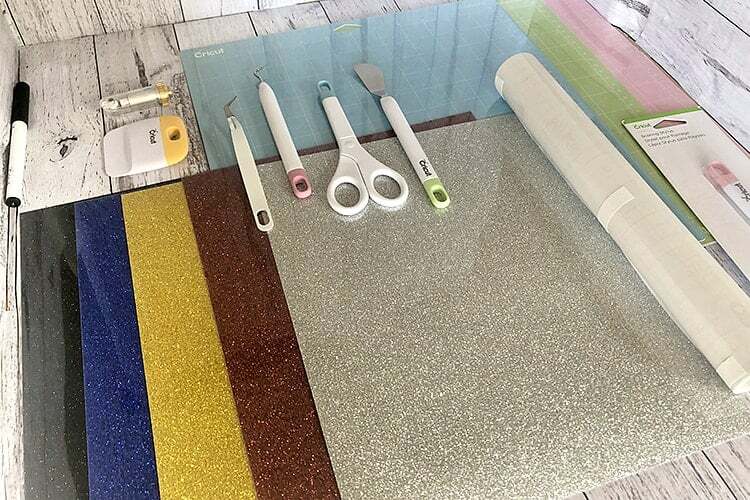 Now that you hopefully have an idea of which cutter you wish to buy, let’s have a quick look at how to set it up once it arrives in your home. Carefully unpack all of your pieces. 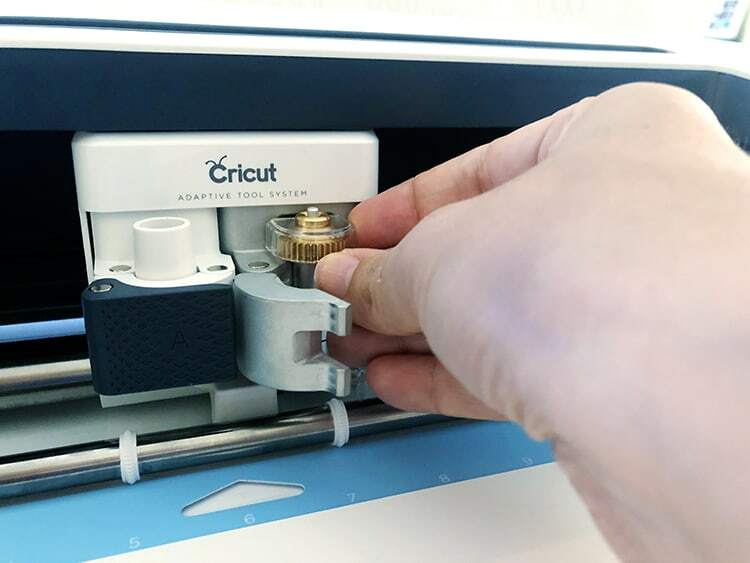 Find a ‘home’ for your new Cricut cutter and plug it into a power source. Press the power button to start up your machine. Next, set up the electronic device that you’ll be designing on. The software is compatible with a desktop computer, a laptop, tablet or even your phone. You will need to have access to the internet in order to download your software. All your design work will be made digitally using software called Cricut Design Space. The first thing you need to do is register for an account at Cricut. Now login to your software online and select “New Machine Setup” from the right drop-down menu. Follow the questions and steps (they are set out very clearly in the software). 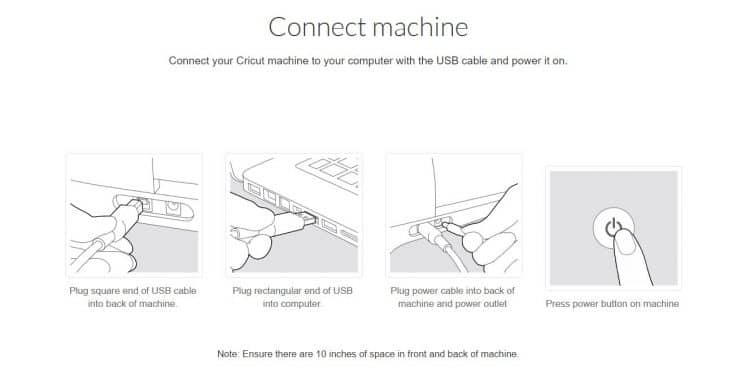 It will ask you to connect your new machine. You can do this in two ways. 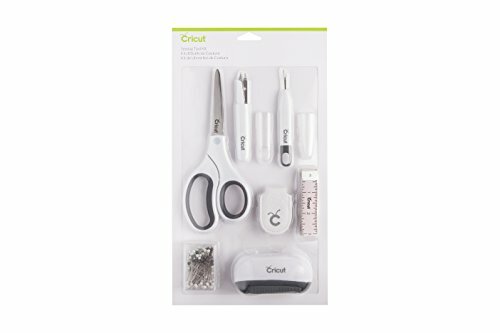 You can either connect your computer to the Cricut machine by a USB cord (included in the packaging) or via Bluetooth. 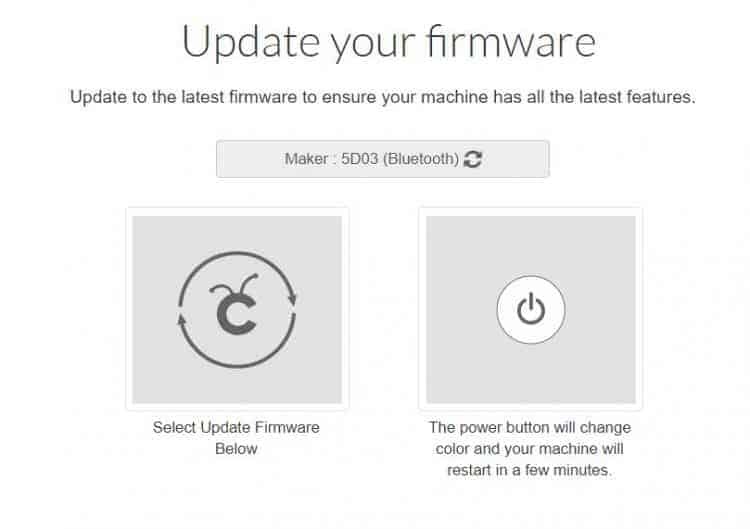 The higher-end models of Cricut Machines all have Bluetooth connectivity which you can find under “Settings.” If they ask for a password, just put in 0000. Here is Cricut’s tutorial on how to connect your Cricut Explore or Cricut Maker to Bluetooth. Next, they will check to see if your machine needs an update. The software will need to download and install an app that works from your chosen device. The App is currently available fully on iOS and Android systems. Tip: The software app is cloud backed up, so you can access your designs from any device. I often create on my laptop but then switch to my phone so I can sit closer to the cutter whilst it cuts. Fortunately I have access to the same project on both computer and phone. 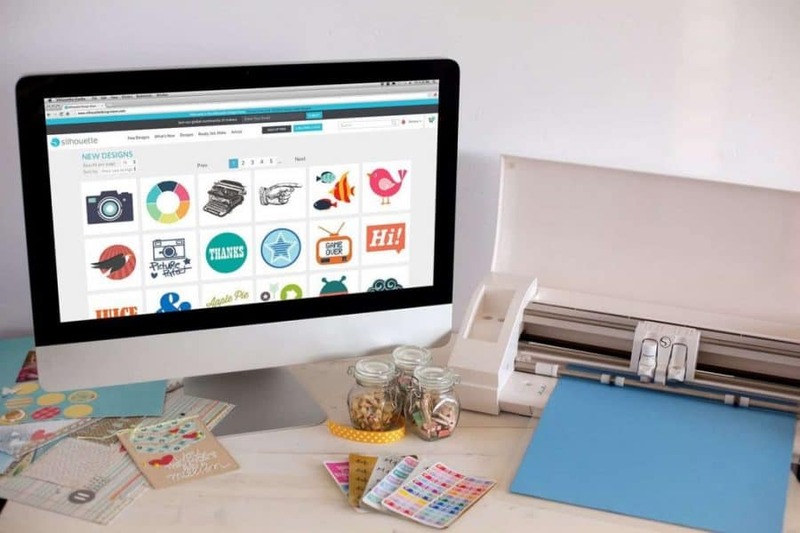 If you want, you can also get a subscription to Cricut Access (this will save you loads of money in the long run – you do get a month free, so try it out first if you wish). Now that your machine is set up, your software app is downloaded and your cutter is switched on, let’s get to the fun bit, shall we. Let’s create! The easiest way to get started is to simply pick a project that is located in your Design Space Library. The library contains video tutorials as well as hundreds of projects that come with step-by-step directions. To make this tutorial more streamlined, I want you to pick the same project as me to get started. So once you are logged in to the Design Space online, simply click on the ‘Cards’ category. 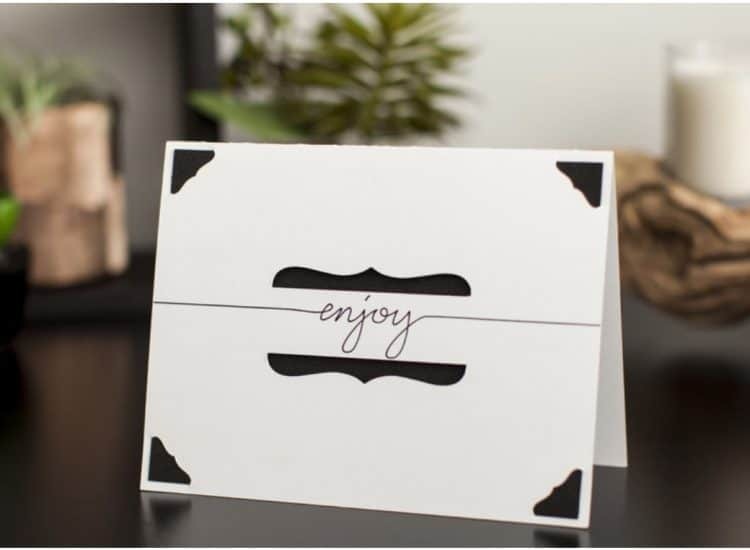 You will now see hundreds of cards that are ready for you to make – pretty cool huh!! Click in the search box and type “Enjoy Card”. Once you click on the card, you will see a beautiful tutorial card popup. This card provides info on the materials you will require, the time you should set apart as well as the steps that are required to create an exact copy of the project. Click on “Make It” and let’s get to it. Your first step in the card creation is to test the “draw and cut” feature. What I love about the Cricut Machines is that they can do so many different things. You can simply cut designs that you pick/create/upload to Design Space, but you can also Draw and Cut (great for cards), you can Print then Cut (great for die cuts) and you can even score (great for 3D models and boxes). For now, the project will simply open and everything will be done for you. As you can see, the machine will cut your cardstock down to card size and it will also write your card message as well. Your machine will walk you through the steps of what is required next, but I will summarize them here for you as well. It is important to select the right material in order for the machine to know how much pressure it has to apply in the cutting process. The steps on how to select the material is different depending on whether you have a Cricut Explore Air 2 or a Cricut Maker. 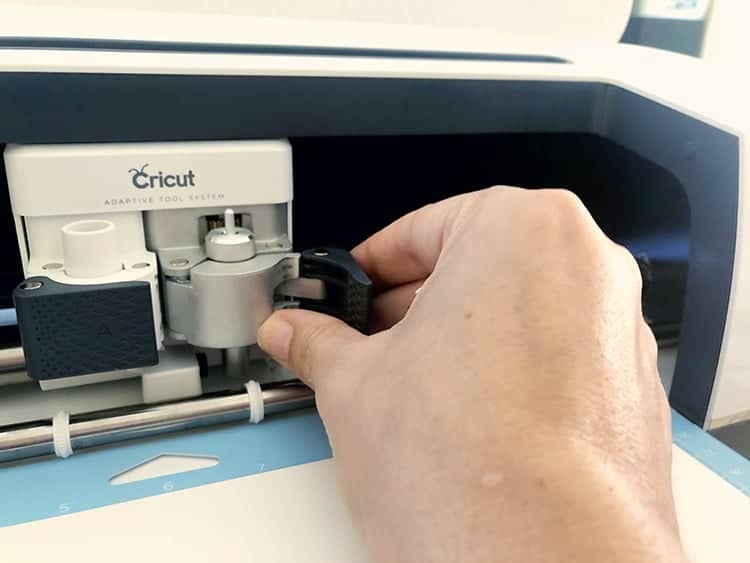 Your Cricut Explore Air 2 has a smart dial that is located on the cutter. The Smart Set Dial is a material selection dial which is pre-programmed with the correct settings (cut pressure, speed, depth, and force) for whatever material you want to use. The dial has predefined settings for Paper, Vinyl, Iron-on, Light Cardstock, Cardstock, Fabric, and Poster Board. You can also use half-settings between the materials on the dial. This is useful for times when you need either a little less or a little more pressure than one programmed setting. Of course, there’s a custom option as well. This gives you the option of choosing settings for up to a hundred different materials. So go ahead and turn the dial to cardstock. 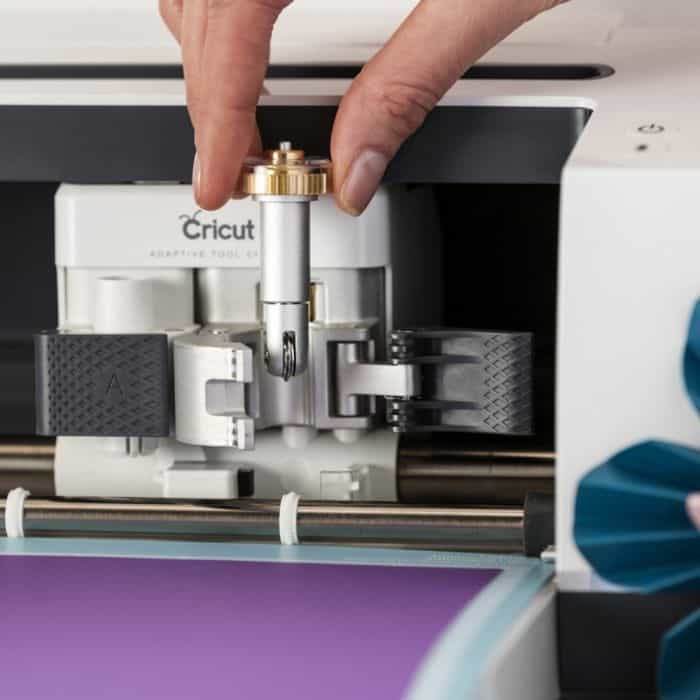 Then select the exact material you’re cutting from the huge drop-down list in the Design Space software — the Cricut will automatically adjust the blade settings for you. The Cricut Maker is really easy to use. 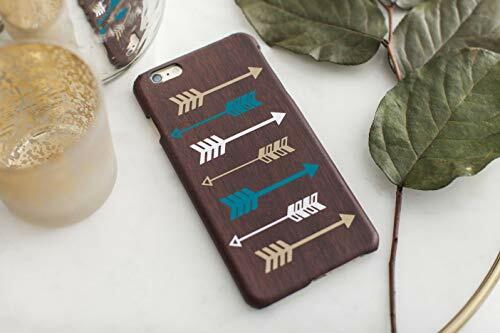 All you have to do is to select the right material in Cricut Design Space and the machine will automatically calibrate the pressure, speed and depth for you. So go ahead and select ‘medium cardstock’ from the options. Place your cardstock on top of the green sticky mat. Lined it up on the top and on the left of the mat. 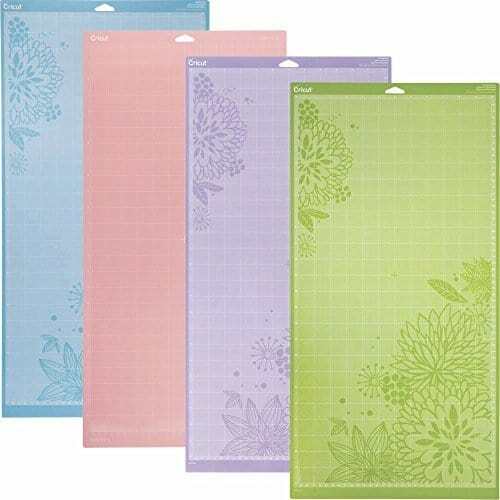 There are four types of Cricut mats available – Light grip (blue), Standard grip (green), Fabric grip (purple) and Strong grip (purple). You need to match the right mat with the right material. Make sure that you have the fine point blade installed in the Cricut. You can learn more about the Cricut blades and how to install them here. Lastly, load up your mat into the machine. 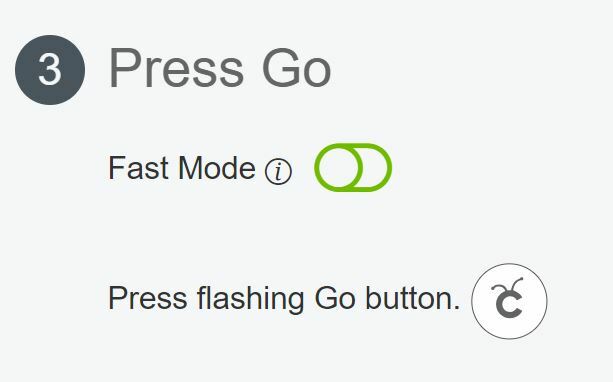 And lastly, press ‘GO’ – find the flashing Cricut logo button. Now, you just have to sit back, relax and wait for the machine to cut out your bits and write your message. Simply follow the instructions on your card tutorial to complete your card. So easy right!! Now I’m sure you are booming with excitement and you are wishing you could get into so many more projects, so here are a few more instructions on some of the other functions that are available. Suppose you want to create some flower vinyl stickers. 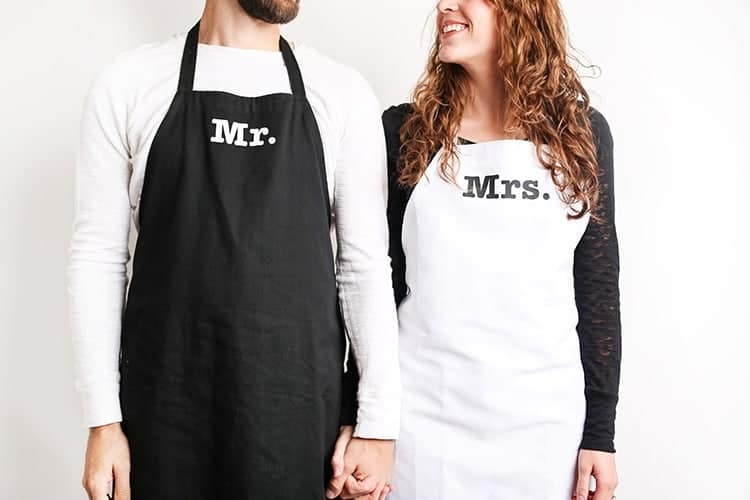 How do you go about selecting an image to cut in Cricut? Step 1: Simply create on “New Image” and then choose “Images” and search for flowers. You can also choose “Upload” and upload an image that you loved from the web as well. Step 2: Resize your flower to the correct size. Tip: You can also pick a particular layer of design or change the color. 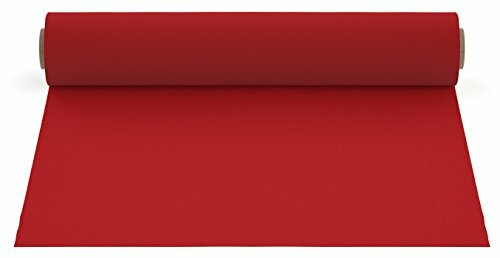 When cutting, be sure to load that color of paper or vinyl into the mat. All matching colors in your digital design will be cut from the same material. Step 3: Once you have decided on your shape, click “GO”. If you want to cut multiple flowers, just adjust the Project Copies number to the number of flowers you want. You also have the ability to print out images through Cricut Design Space using a printer. You can then transfer the printed paper or cardstock to your cutter and get your cutter to cut out the images. 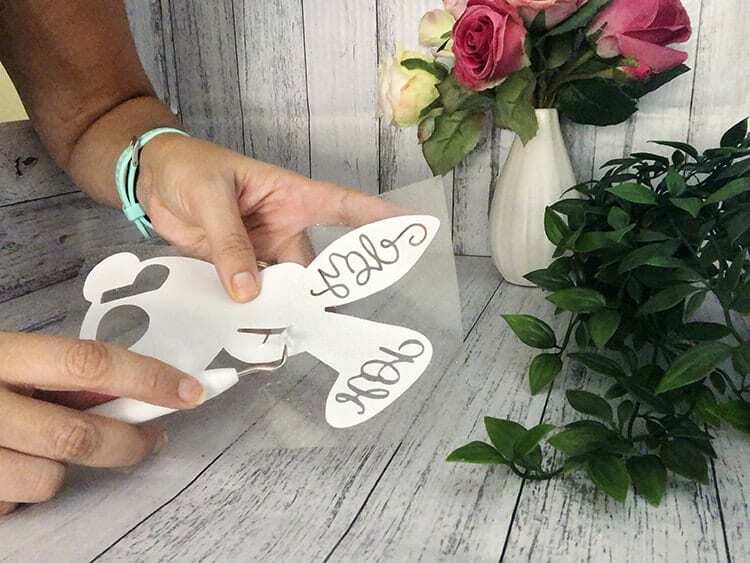 This is brilliant for when you want to create your own stickers, die cuts or labels and tags. 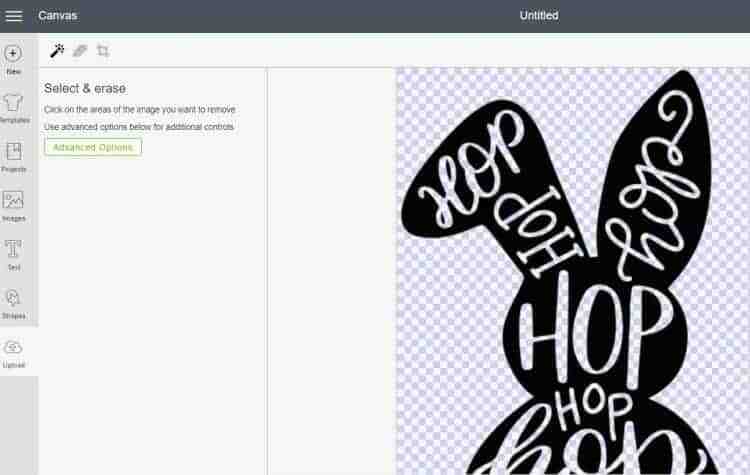 Simply upload your image to Cricut Design Space, make sure that your image is flat. You can flatten layers by clicking on the ‘Flatten’ option on the bottom right of the page. Once the image is flat, it will automatically switch over to “Print then Cut”. Simply follow the instructions on the create page. You also have the ability to write on the Cricut Software. This can be great when you want to create a vinyl text decal for decoration purposes. Or you could get the machine to write with a pen (such as on the card example above). 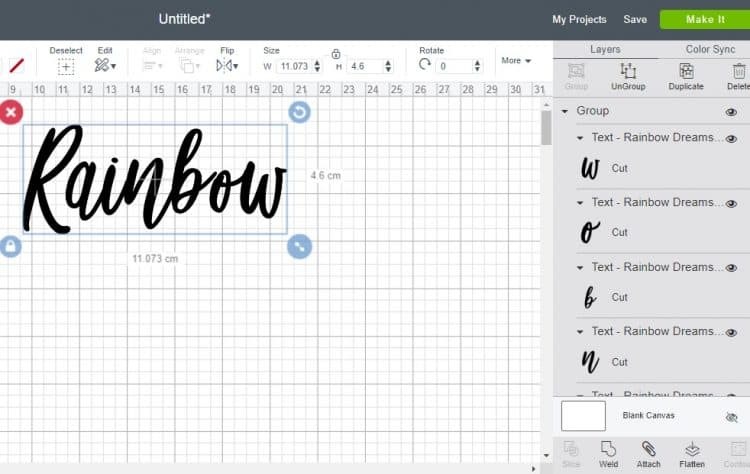 You can even upload new fonts to Cricut Design Space as well. 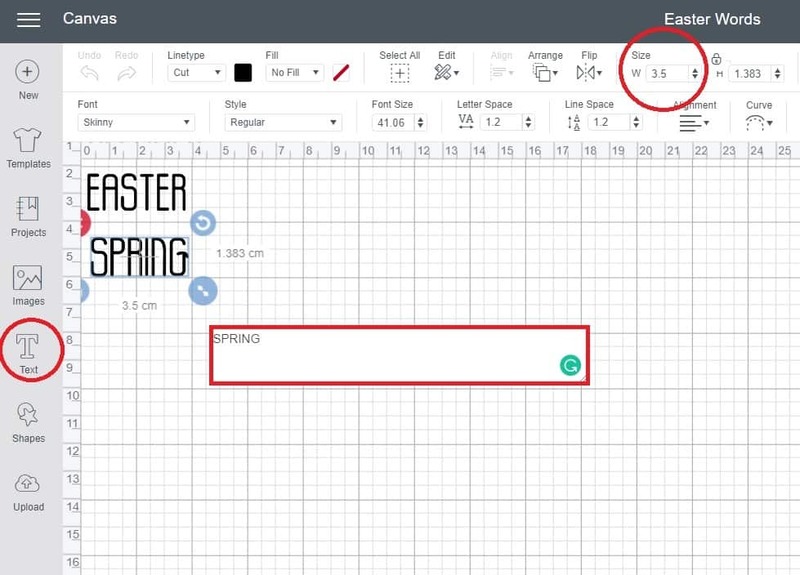 Step 1: Click on “Text” in the Cricut Design software and write out the text you want in your design. Step 2: Select the font, size, spacing of the letters and rotation. 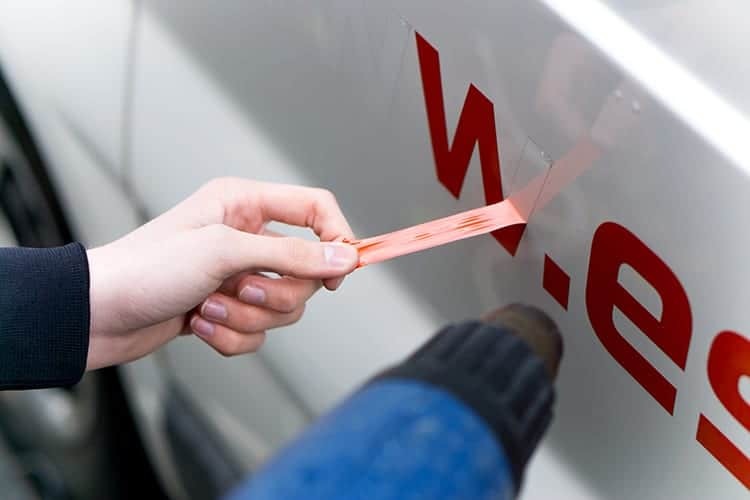 Step 3: If you wish to create a vinyl sticker, select the “weld” function on the bottom right-hand side to ensure that your cutter sees the letters are one image. 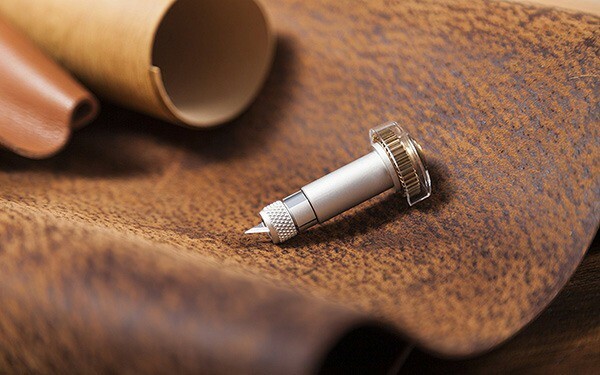 If you wish to write with your pen, insert a pen of your desired color into Accessory Slot A, and the machine will automatically write the words. (You can also select to cut the shape out as well). You can also create score lines with your Cricut. This is really helpful when you love creation cards, envelopes or 3D models such as houses. 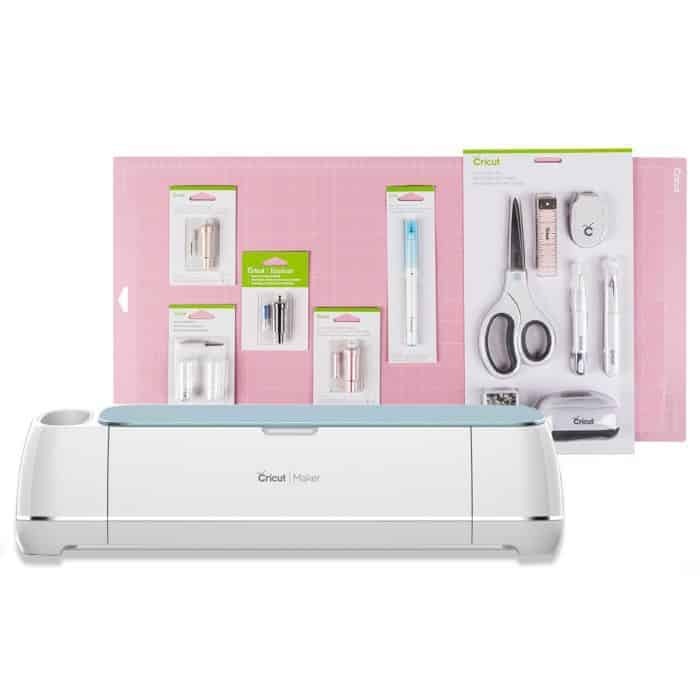 The Cricut Explore Air 2 can score using the scoring stylus, whilst the Cricut Maker can score single or double lines with the scoring wheels. Now that we have covered Cricut beginner basics about how to use a Cricut machine, I also wanted to share some helpful resources with you. Massive Cricut Machine Resource Hub: Reviews, Guide, Tutorials & More! What Type of Projects Can you Make with the Cricut Maker? 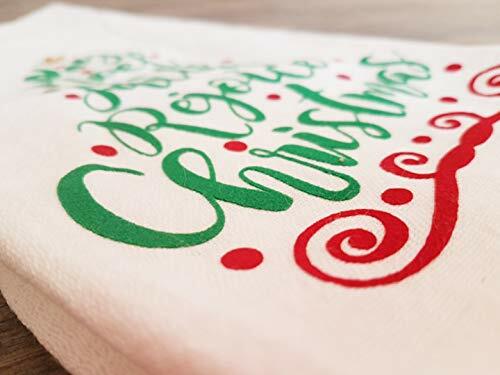 10 Fun and Fabulous Cricut Explore Air 2 Christmas Craft Ideas! Thus ends our guide on how to use a Cricut machine for beginners. We hope it has helped you get a better handle of what to expect from the Cricut Machine and how to use it. If you’re a beginner, start slow, follow the instructions on the screen, and you should be good to go. Vinyl is our absolute favorite product to use these days, it is incredibly versatile, truly affordable and comes in a wide range of types and colors. You get two main types of vinyl, one is a heat transfer vinyl and the other is adhesive vinyl. Today we will be discussing two types of adhesive vinyl. We want you to use the right type of vinyl to match your project purpose. So today, we are here to clarify and help you understand when you should be using removable vinyl and when you should use permanent vinyl. Below we are going to look closely at both removable self-adhesive vinyl, as well as at permanent vinyl. Once you understand what each of these types of vinyl is used for, you will understand how they are different. I think people most often assume that is they are creating something like a vinyl sticker, you would want it to last forever. So we often have readers who are really confused about why you even would need something like a removable vinyl. But removable vinyl is a FABULOUS product and I am about to give you loads of inspiration on how to make use of this great product. The beauty about removable vinyl is that it can be peeled off with ease and it won’t leave any adhesive marks on the surface. It won’t damage the paint on your walls and won’t leave residue on your windows. What Can You Do with Removable Vinyl? So that is nice and all, but why would you want to use removable vinyl? Here are a few examples of when you will find yourself reaching for the removable type of vinyl. Removable Vinyl Stickers: Removable vinyl stickers are commonly used for bumper stickers, temporary decorations, food packaging, containers, calendar stickers, and bottles. For instance, when we need to reuse containers/bottles, a removable vinyl sticker is more preferable. And if we wish to switch these containers, we can use removable stickers as identification tags. 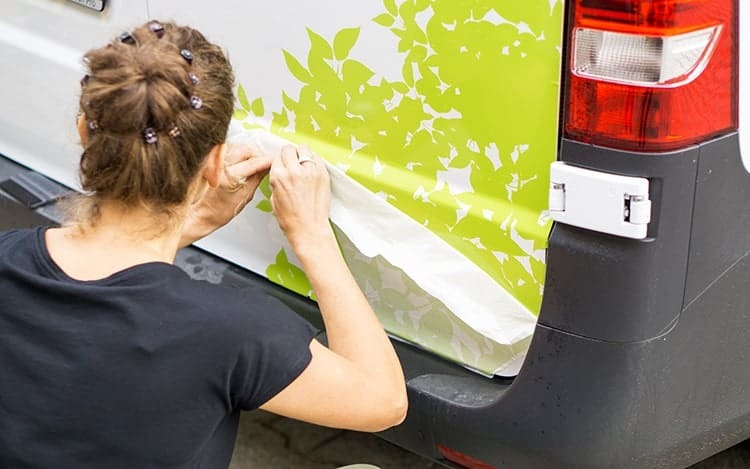 Removable Vinyl Decals for Cars: You can also use removable vinyl decals for cars, that is, if you have to remove it afterwards. The best example for this is a wedding car sticker for recently married couples. 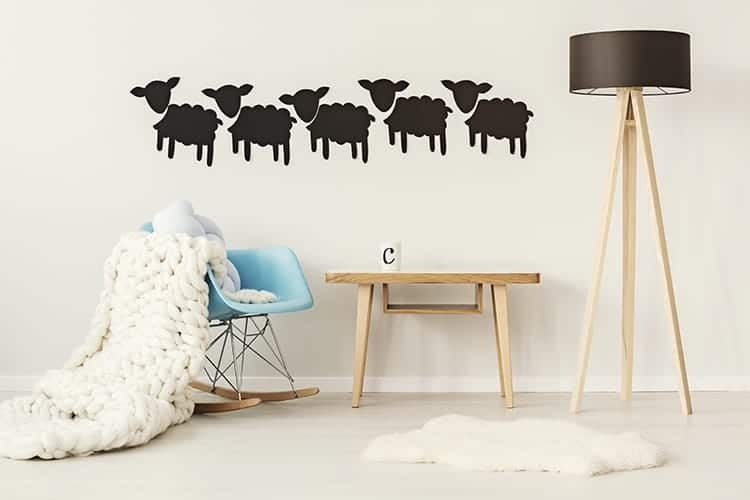 Removable Wall Decals: Another example is when you want to decorate a room without having to paint your designs time and again: removable wall vinyl comes to the rescue! You can change them as many times as you want to. Vinyl Stencils: Another fabulous way to use vinyl that is removable is by using it as a stencil. You can then use the stencil together with some paint or spray paint to create a unique product – such as a sign. Nail Decals: Want to get super creative? We have a reader who cuts tiny adorable nail art with her cutter. She applies these to her nails and then simply pops some clear nail polish over the top to keep them in place. Themed Parties or Special Events: Have a special party or event coming up? You can literally transform your entire house for the day when you can create removable wall decals, window stickers, removable jar labels and more. Removable vinyl is the best products for days such as Easter, Christmas, St Patrick’s Day, Thanksgiving and so much more! Besides this, there are other countless events and reasons for the use of removable vinyl stickers and decals. Where Should You Use Removable Vinyl? Removable vinyl is best used indoors. It is best when you apply it to most smooth surfaces such as walls, glass and ceramic. The adhesive on this vinyl is not strong enough to endure a variety of weather conditions that it will be exposed to outdoors. How Long Does Removable Vinyl Last? Most people only use removable vinyl for short durations of up to a month (for example at Christmas time), but your removable wall decals should be fine on the wall for around one year. So now that I have you excited about the possibilities of removable vinyl, which brands are the best and where can you get some from? Is Cricut vinyl removable? 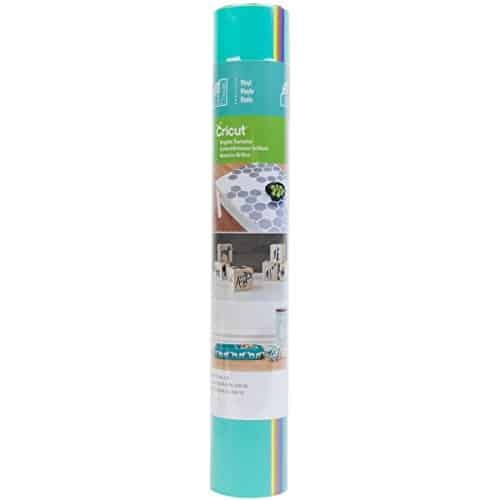 If you are a Cricut fan, you will be happy to hear that Cricut does indeed have some beautiful removable vinyl on offer. All of their ‘basic’ vinyl is removable and they also have some removable vinyl in their ‘premium’ range. Their removable vinyl can last 1+ years and they currently have 17 colors available. 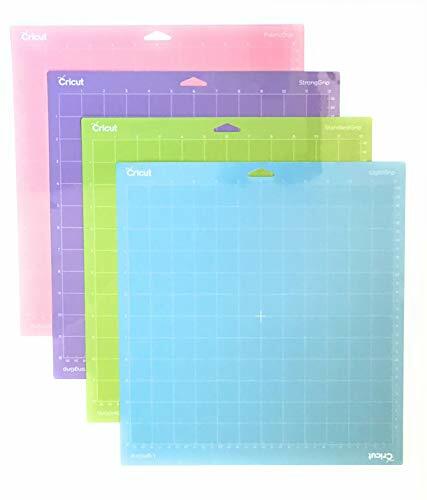 Grab your Cricut Removable Sample Vinyl pack online from Amazon here. Oracal is one of the best brands if you want to use adhesive vinyl (they don’t make HTV). Their vinyl is superior in quality to most brands. The Oracal 631 vinyl is their removable vinyl, whilst Oracal 651 is their standard permanent vinyl. Due to the fabulous quality, you can get 3+ years use out of their removable vinyl, and they come in a massive 69 colors. Grab some Oracal 631 Removable Vinyl online from Amazon here. Never heard of this brand? Yeah, I’m not surprised. We all know that if we stay clear of brand name products we can still pick up great quality product for lower prices. This is one of those cases. Craft E vinyl has a very popular removable vinyl pack for sale. 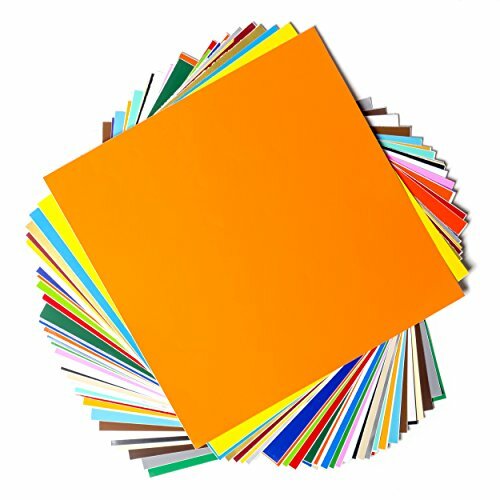 The pack contains 2 x 20 different color 12 x 12″ sheets. So you get 40 sheets in total. You can grab this affordable pack of removable vinyl from Amazon here. Permanent vinyl, on the other hand, contains much stronger adhesive on it. It is a long-lasting vinyl and whilst you can remove this vinyl it will often leave the adhesive residue behind (which can be hard to remove) and it also might rip paint off the walls/cars etc. What Can You Do with Permanent Vinyl? Drinkware: Want to personalize a glass, a cup, a tumbler or a mug? You need a strong vinyl adhesive that can survive water and detergents. Permanent vinyl is your best bet. Car Decals: If you want to add logos, pictures or decorative features to your car, I would highly recommend that you use a permanent vinyl. This type of vinyl is ideal for surfaces that have to endure harsh outside elements. You can read more about vinyl for car decals here. Signs: Most people make signs that will last, so we typically use permanent vinyl to ensure that it will stick properly. Most signs are also used outdoors, and permanent vinyl will be able to handle weather conditions better than removable can. 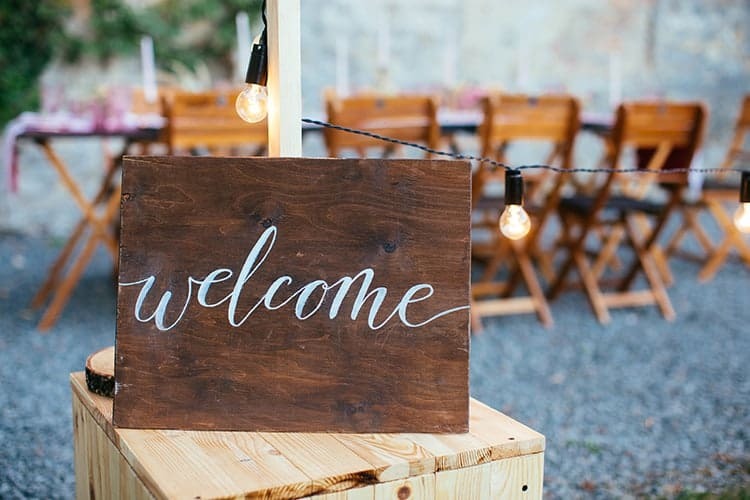 Welcome Mats: Want to make a personalized welcome mat? You need a strong adhesive vinyl to stay put whilst people rub their feet clean. Themed Decor: This year I decided to decorate some Easter eggs with sweet words. 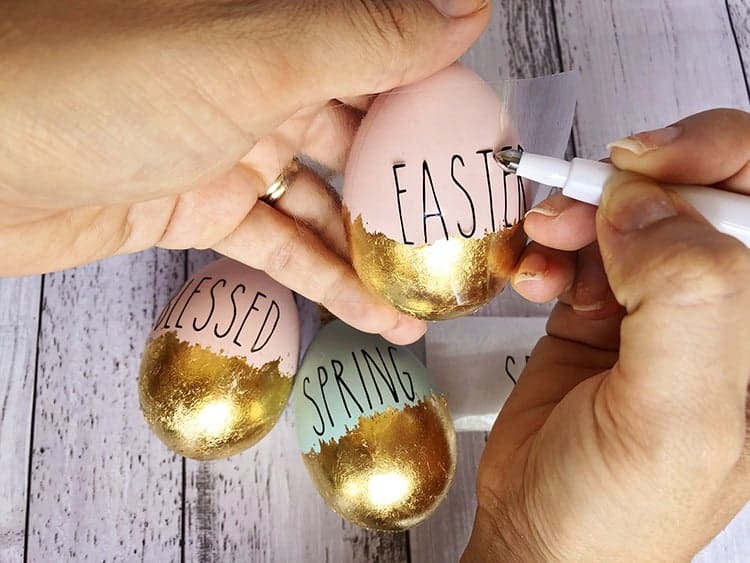 I used permanent vinyl because I want these eggs to be usable each Easter. So, Does Permanent Vinyl Come Off? Let’s face it. What lasts forever? Of course, nothing. So, yes, it comes off eventually, but after quite a long usage. The idea of permanent vinyl is to make it last longer than removable vinyl. Note: This type of vinyl has a stronger adhesive and whilst it can be removed, you will most likely destroy the surface if they try to pull it off. How Long Does Permanent Vinyl Last? It depends on the surrounding environment they’re used in. The Oracal Permanent Vinyl, for example, is built to endure harsh weather conditions for 6 years. Some of the more expensive types of permanent vinyl can last 8+ years. So now that I have you excited about the possibilities of permanent vinyl, which brands are the best and where can you get some from? Which Cricut Vinyl is Permanent? You can find permanent vinyl in their ‘premium’ range.Their permanent vinyl can last up to 3 years. You can also find the permanent vinyl is speciality types such as shimmer, pearl, frosted and more! Oracal is one of the best brands if you want to use adhesive vinyl (they don’t make HTV). Their vinyl is superior in quality to most brands. 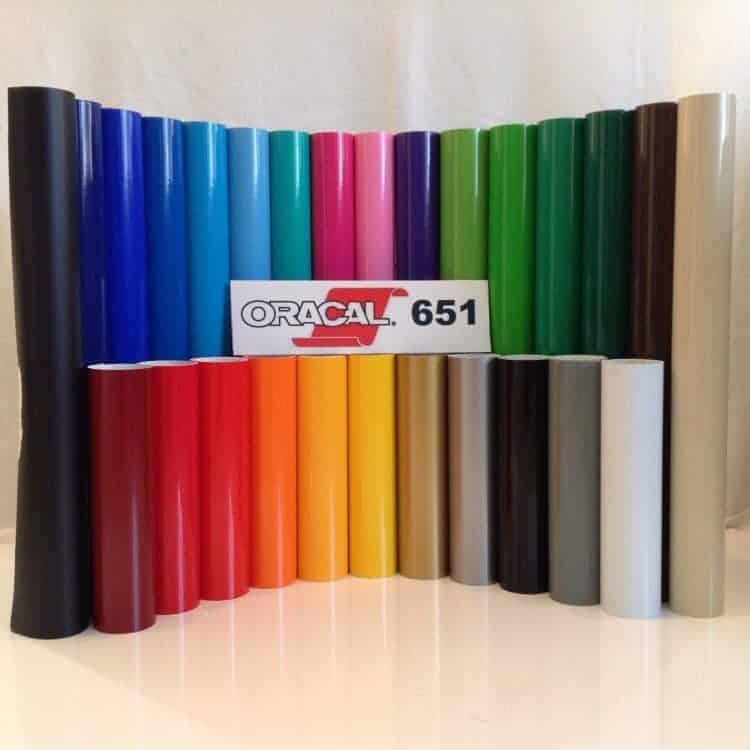 Oracal 641, Oracal 651, Oracal 751 and Oracal 951 are all permanent vinyl. Most people tend to use Oracal 651 (glossy) or Oracal 641 (Matte) because it is the cheapest and works for most projects. The Oracal 641 will last up to 3-4 years, whilst the Oracal 651 can last up to 6 years. You can purchase Oracal 641 matt vinyl directly from Swing Designs here, or the Oracal 651 glossy vinyl here. Grab some Oracal 641 matte vinyl online from Amazon here, and Oracal 651 glossy vinyl here. 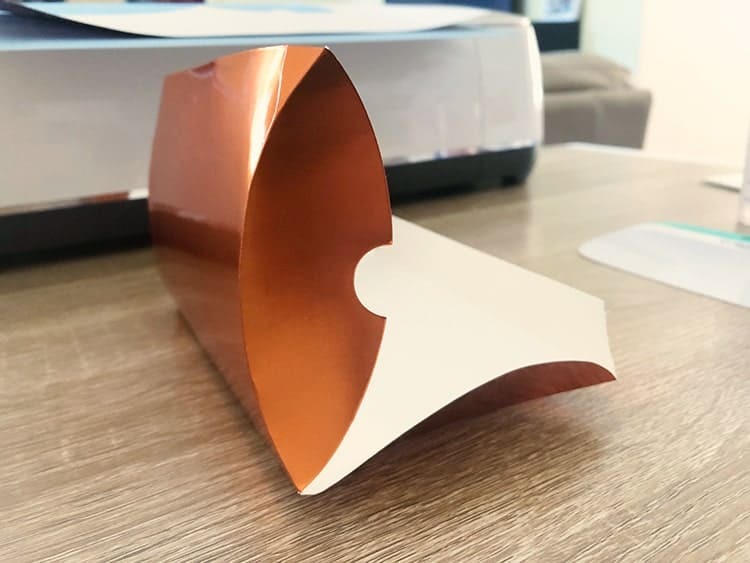 Siser is well known for the high-quality heat transfer vinyl, so we were all super excited when they recently started producing their own adhesive vinyl range called Easy PSV. Their vinyl is top notch quality, they are easy to weed and easy to apply. You can grab Siser EasyPSV from Expressions Vinyl here. Another brand that you might not have heard of, but they have some great quality vinyl available for a lovely low price. You can pick up this permanent vinyl pack. The pack contains 40 different 12 x 12″ sheets. You will get 30 different colors. You can grab this affordable pack of permanent vinyl from Amazon here. 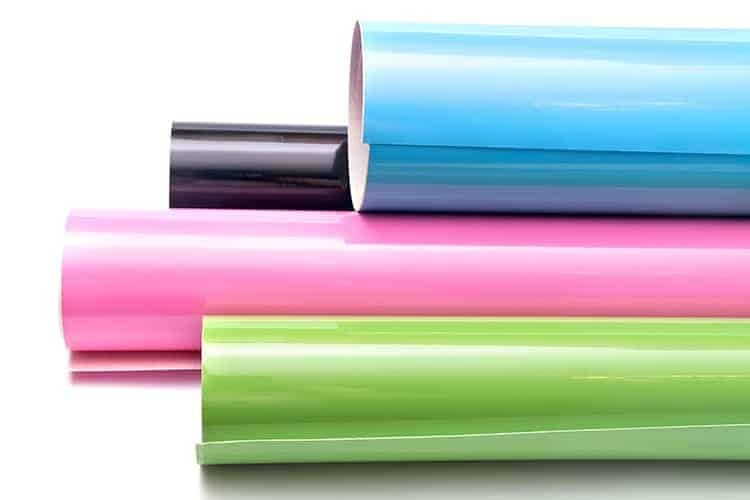 Summary: What is the Difference between Removable and Permanent Vinyl? The difference between these types of vinyl mainly lies in the permanence and strength of the material’s adhesive. Due to the fact that removable vinyl has a weaker adhesive, it is best to use this type of vinyl indoors, whilst the strong adhesive on the permanent vinyl makes it suitable for both indoor an outdoor use. Whilst you can expect the removable vinyl to last for around 1 year (for Cricut) or 3 years (for Oracal), your permanent vinyl should give you at least 3 years (for Cricut) and up to 8 years (for Oracal) of use. If you want to use it in water, whilst both are waterproof and dishwasher safe, the removable vinyl will start peeling way too soon. So basically, the only difference between the two types of vinyl stickers/decals is their durability. It is important to match your style of project with the right type of adhesive vinyl. Once you know which vinyl to use, cutting it with your vinyl cutter and applying it should be easy. Make sure you have the right tools for adhesive vinyl to make your life simpler. And that’s all we have for this post! We hope this has helped you clarify a few questions. 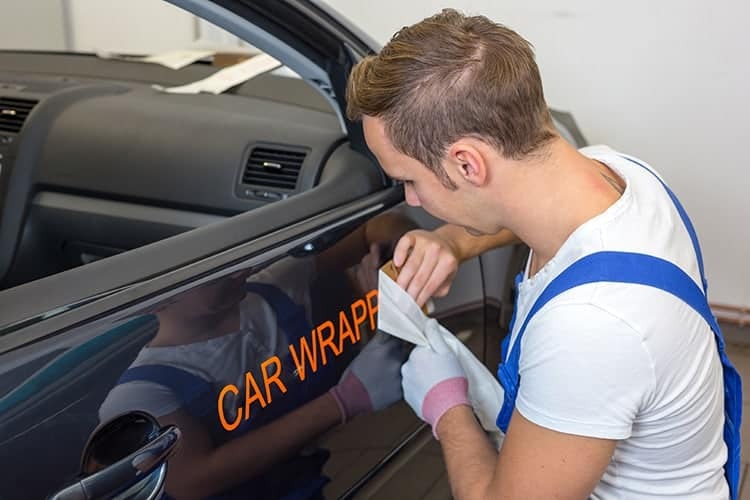 Car decals are typically used in business situations and so it comes as no surprise that those business owners want to invest in the best vinyl for cars to ensure that looks professional. We want our car decals to turn heads for all the right reasons, not because the vinyl is fading in the sun and peeling from exposure to harsh weather conditions. There aren’t a lot of types of vinyl on the market that meets all the needs that are required from an oudoor vinyl such as car vinyl. It can be pretty complicated to pick the right vinyl for car decals. Today we wanted to outline a type of vinyl that is brilliant for car decal use. We’ll take a look at a few criteria you need to consider before understanding why this vinyl is the best vinyl for car decals. How durable does the vinyl have to be? Is this a temporary decal or one that you would expect to last for many years? Which part of the car do you wish to adhere the decal on? What kind of surface is it? What sort of conditions will the vinyl need to be able to withstand? Is it parked undercover or does it stand outside in the sun all day long? Do you drive on dirt roads or gravel roads? There are a lot of vinyl varieties and brands, some types of vinyl are expensive but don’t really last. It might be because of an unsuitable surface, the quality, or a couple of other reasons. It is really important to invest in a vinyl that was designed for outside use and one that can withstand harsh weather conditions of snow, cold, heat and rain. We don’t want a vinyl that will start fading too quickly and we need a vinyl that has a strong adhesive so that it doesn’t peel. We also need the vinyl to be able to withstand detergents that will be used when you need to wash the car. So let’s get straight into answering your question, what vinyl should you use for DIY car decals? Oracal 651, 751 and 951 vinyl ticks all the boxes that are required from a car vinyl decal. This brand makes superior-quality vinyl. All three of these types of vinyl are permanent outdoor vinyl. They all have a strong adhesive and has a silicone-coated surface, which means that it can withstand harsh weather conditions easily. It is also water-resistant which makes it perfect for cars. It also comes in a range of colors and is easy to work with. 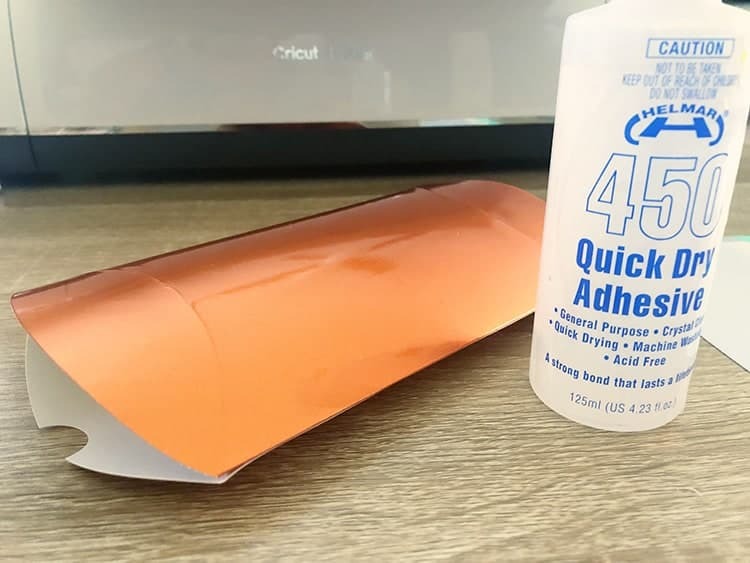 Your vinyl cutter will be able to slice through this vinyl easily, the vinyl is easy to weed and easy to wrap around corners. Even though these vinyl is permanent vinyl, you should still be able to remove the vinyl without leaving adhesive marks behind (or damaging the paint finish of your car) if you follow the correct procedures. The differences between these types of vinyl really down to their price points and how long you would expect the vinyl to last. Oracal 651 is the most affordable option, so if you are only getting started with car decals, you might wish to start here. You can purchase Oracal 651 vinyl from Swing Designs or from Amazon. How Long Will the Car Decal Last? 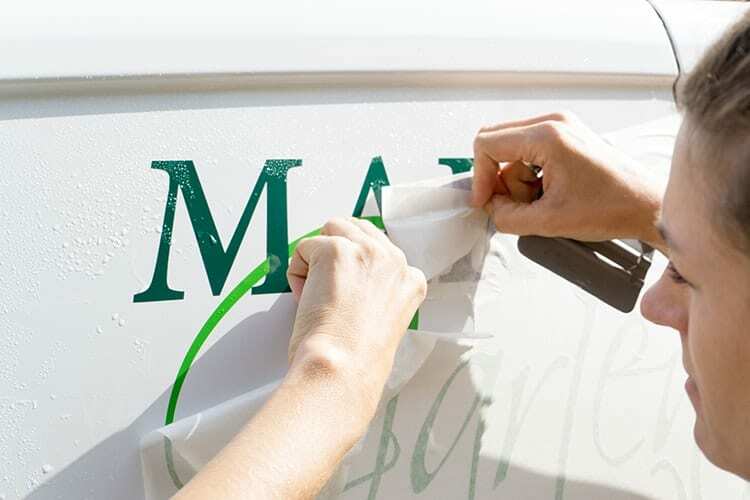 The duration of the life you will get out of the vinyl decal depends on where you live, which type of weather conditions it will be exposed to and what sort of heat it will have to withstand. I have seen Oracal 651 used on boats, trailers and cars and after 4 years the decals still look close to new. The beauty is that you need to remember that most businesses update their logos as time goes by and many people choose to refresh their logos by choice (even before the vinyl starts to show wear and tear). Can you Use Oracal 651 on Car Windows? If you’re also wondering what vinyl to use for car window decals, don’t worry. You can use this vinyl for car windows as well. The Oracal 651 vinyl is quite versatile. It will stick perfectly on any window surface. What are the Negatives About Using Oracal Vinyl on Cars? Whilst Oracal vinyl happens to be one of the best vinyl to use on cars, it is not perfect. The best way to preserve the vinyl decal would be to ensure that your car is parked undercover and does not stand outside in the full sun all day long. Cars that tend to be outside in full sun every day, will often see the vinyl shrink over the years. Which means that you might have to remove your decal and replace it with a new one to freshen it up (at least it is an affordable vinyl so this is not the worst news). The vinyl might also create small cracks where the heat seems worse, such as on windows. If your car will be standing outside in full sun each day, I would highly recommend steering clear of vinyl and looking towards using paint for your decal instead. However, I love using vinyl, because you can remove it an replace your decals with newly updated decals. I have seen Oracal 651 vinyl looks like new after 4 years on cars that were used for business purposes, however when used on an industrial truck it lasted only 18 months – it really comes down to how you use your vehicle. The best vinyl for your car will truly depend on your own individual situation. Each situation has its own needs and merits, opportunity costs and requirements involved. 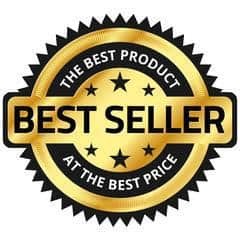 If you can foresee changes in your business in the near future, or if you typically sell and purchase new cars for your purchase every 5 years – I would highly recommend that you grab the most cost-effective option. Oracal 651 is the cheapest vinyl to apply on cars. 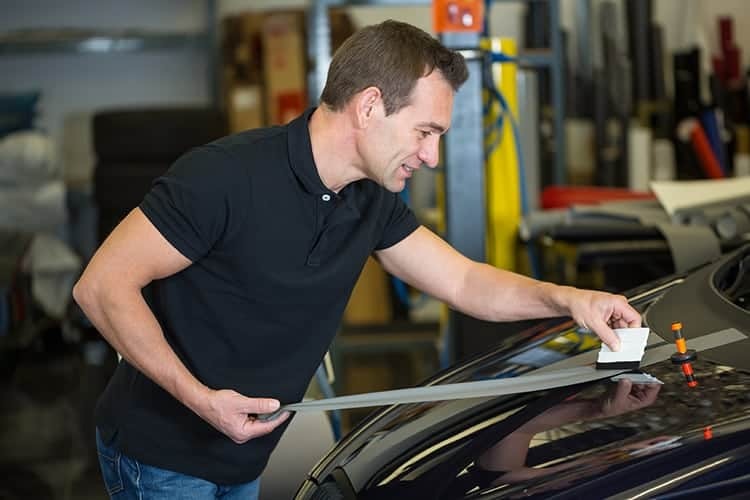 Whilst it is a short-term vinyl (6 years), we find that most people have to do repairs to their cars, update the decal or even sell their cars during that period of time, so short-term vinyl is perfect for most customers. I would also typically choose to use Oracal 651 on car windows as this type of vinyl is easier to remove in comparison to 751 and 951. This is the most popular option and it is a great vinyl to get started with. We love transferring our Oracal 651 decal designs with R-TAPE. R-Tape is a high tack rubber adhesive application tape which works perfectly with Oracal 651 vinyl. If your car really goes through hard work, stands outside in the sun, has to handle gravel worksites etc. you might wish to upgrade to the higher-quality Oracal 751 vinyl. It comes at a premium price but will withstand harsher conditions better than the 651 does. Oracal 951 is really for permanency, it is a super pricey vinyl and it is really hard to come by. We are thinking REAL long term here and most businesses have changes way too often for the cost of this vinyl to be viable. We don’t bother with 951 as we really feel that 651 and 751 are long-lasting enough for our needs. I hope you know have a better understanding about what type of vinyl is used for car decals. If you are still feeling confused, I would urge you to purchase Oracle 651 for your first car decal. The 651 is the most affordable type of vinyl that is suitable for DIY car decals. It is easy to use, easy to weed and wraps around corners beautifully. It does a fabulous job of withstanding harsh conditions and has an outdoor life of 6 years. It is the vinyl we use 80% of the time when we design car decals and I know that you will be happy with it too. 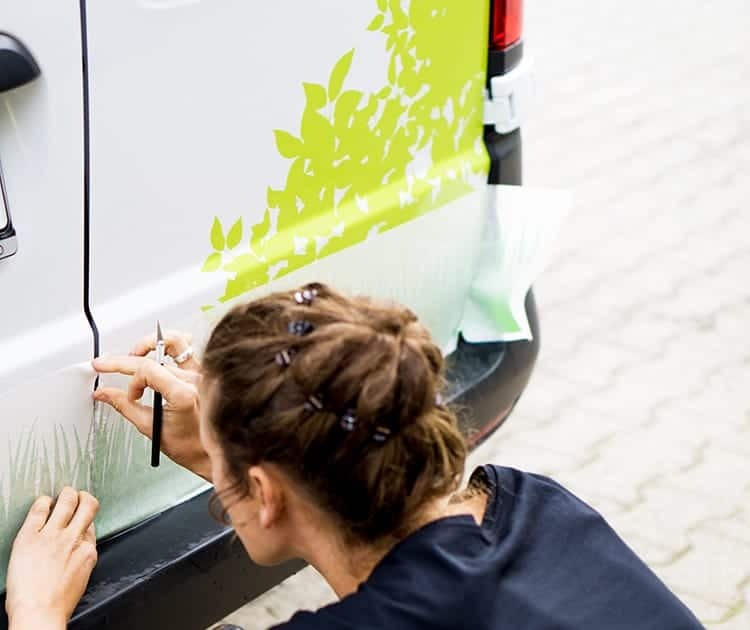 Look out soon for a post that we will share on how to apply your car vinyl, as well as how to correctly remove the vinyl when it is time for a refresh. 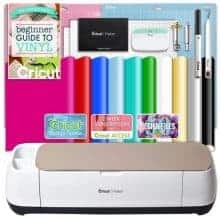 The Absolute Best Cricut Maker Bundle Deals of 2019! We get so excited by bundle deals! They are always brilliant value and typically include lots of fun additional extras at a very low additional cost. 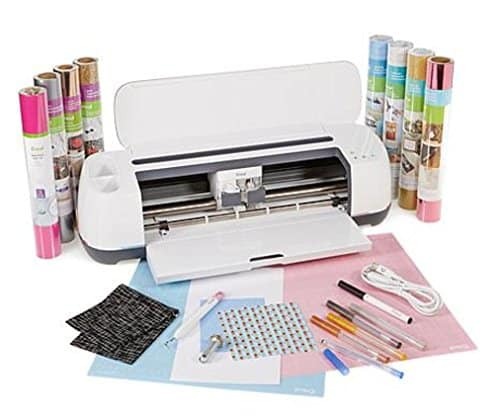 The Cricut Maker Bundle Deals listed below have all been very carefully curated with a host of tools and accessories that would be helpful for a variety of crafters. The Maker Cricut bundles are a great way to save money! 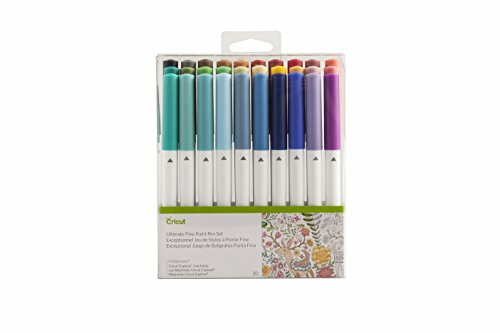 Wondering Which Cricut Bundle to Buy? 1. Who is the Cricut Maker bundles best suited for? 3. What are the current Cricut Maker deals for the machine? 3. Which bundle should you buy? 4. Where can I learn more about the machine? 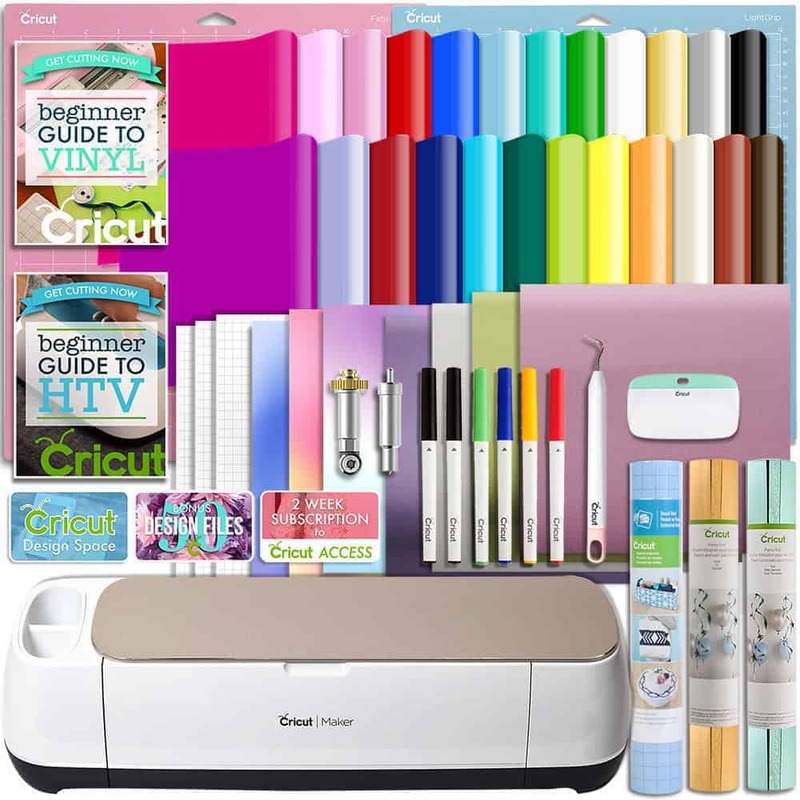 Find below a quick overview of the most popular Cricut Maker Bundles on the market. You can typically find Cricut Maker bundle sale deals among these popular bundles too - which is great news! For further detail on each bundle - scroll further down the post. Not convinced that a bundle deal is a right choice for you? Maybe these questions and answers will help, also feel free to leave us questions in the comment section below the post. Bundle deals are perfect for first-time machine purchasers. Typically beginners and newbies find bundle deals to be the most value as it includes everything that they could possibly need to get started on a project. Not sure if the Maker is for you? Here is a list of the types of projects you can make with the machine. You will be surprised how often you can find a bundle deal for exactly the same price as a machine-only price (when they are on sale). The only way to compare is to make sure that you know how much the machine-only will cost you. So lets have a quick look at the current prices for the Cricut Maker sales on the machine as a stand-alone product. Keep these prices in mind when you compare them to the bundle deal prices below. 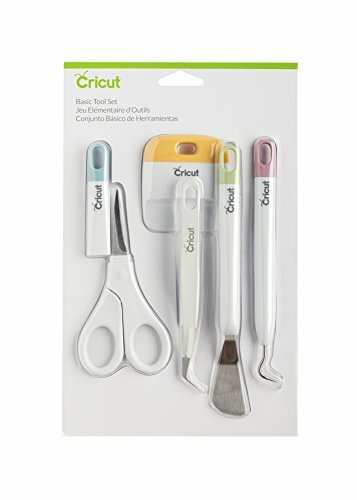 You can almost always find the Cricut Maker on sale at either Cricut.com or Amazon. 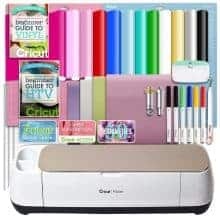 Cricut.com currently has the Cricut Maker Machine on sale for $369.99 (normal retail price is $399.99). You can check the prices here. So, currently the best price for the Cricut Maker Machine is on Amazon.com. The bundle deals have been curated to suit various types of crafters. We have four different types of bundles - 1 of which is a great 'taste-tester' bundle, one which is suited for those who love working with fabric and one for those who love working with vinyl. Before you purchase a bundle, ask yourself why you want to purchase this machine - what will you be making? Not sure if this is the machine for you? Then I suggest you go and read through our comprehensive Cricut Maker Review. You can also get some inspiration on what fabric projects to make with the Cricut Maker here. You can also see how this cutter compares to other fabric cutting machines here. The Cricut Maker is one of our favorite Cricut machines. It is the latest release from Cricut and it is one of our best selling machines. 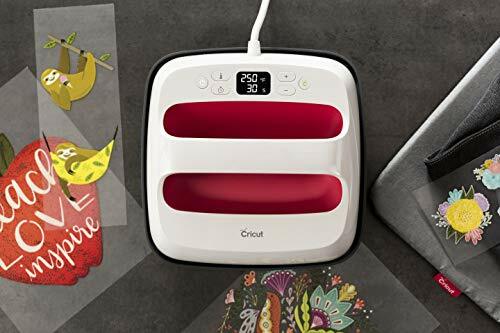 Find below a list of the most popular Cricut Maker Bundle Deals. All great value and all worth the investment. Who is this bundle best suited for? 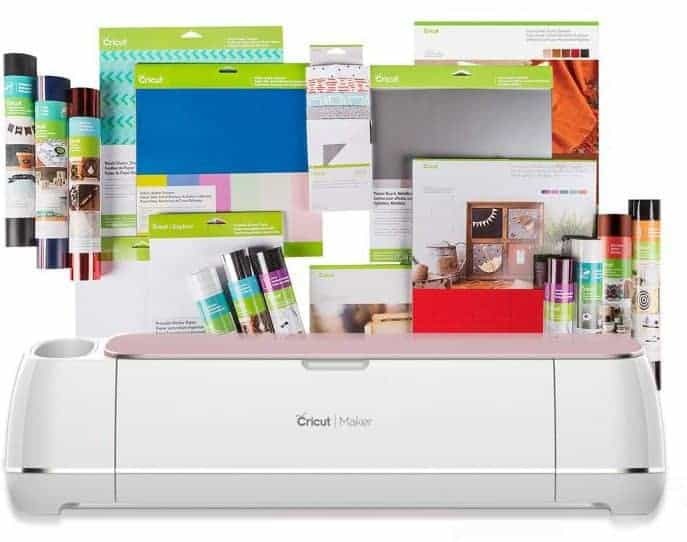 The Cricut Maker Everything Bundle is perfect for those who want to enjoy a sampling of everything the Maker can do. The package includes a bit of everything, so that you can try out a wide range of crafts - which is a brilliant way to discover what the machine is capable of. It is also a great way to figure out what exactly you love creating! FabricGrip™ Mat, 12" x 12"
LightGrip Mat, 12" x 12"
This is our favorite bundle and a great choice if you want to get started with the Maker. The Cricut Maker Essentials Bundle is perfect for those who love working with fabric. Essentially this package contains all the bits and pieces that you might need to start cutting fabric with this machine. Machine Mat Variety Pack, 12" x 24"
FabricGrip™ Mat, 12" x 24"
You can purchase the Cricut Maker + Essentials Bundle, Champagne machine, Blue machine or Rose Machine. The Cricut Maker Vinyl Bundle is perfect for those who love working with vinyl. Essentially this package contains all the bits and pieces that you might need to start creating vinyl images, transfers and decals. The Cricut Maker Deluxe Vinyl Bundle is perfect for those who love working with vinyl and heat transfer. It is an advanced bundle and ideally suited for those who already have established that they are crazy about vinyl & heat transfer crafts! The bundle is currently priced at $469.99 on Swing Designs. The Cricut Maker Medium Vinyl Bundle is perfect for those who love working with vinyl and heat transfer. It is an lovely bundle for those who are crazy about vinyl & heat transfer crafts, but who can't reach the price of the bundle above! 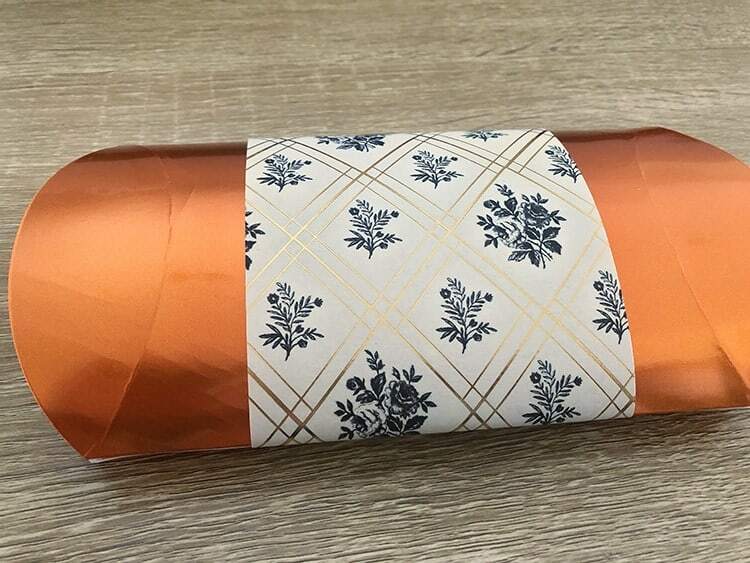 The bundle is the same as the deluxe bundle above, minus the 2 Rolls Party Foil, 3 Sheets Holographic Vinyl, 1 Roll Cricut Stencil Material, and it only 12 sheets (instead of 24) of the Cricut removable vinyl. The bundle is currently priced at $449.99 on Swing Designs. The Cricut Maker Small Vinyl Bundle is great for those who wish to try out vinyl crafts. The bundle is currently priced at $429.99 on Swing Designs. 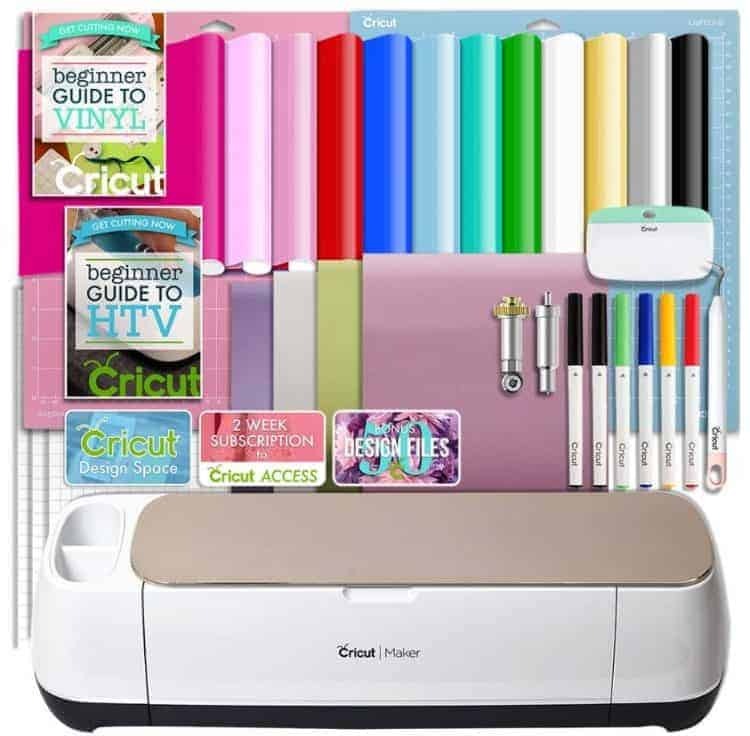 The Cricut Maker Celebration Bundle is fabulous as it includes a little bit of everything. It has a fabric sheet, some glitter vinyl, some adhesive foil, some transfer tape, some stencil vinyl, some pens and of course a weeder. This is really a fun bundle - I love it. 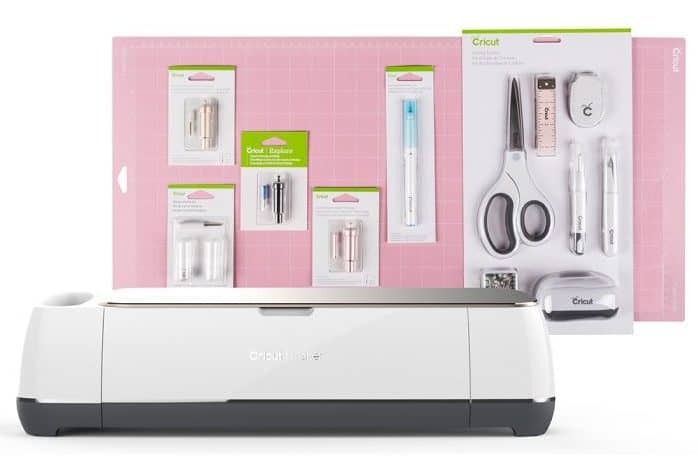 We hope you found our list of the absolute top Cricut Maker bundle deals helpful. Bundle deals are great value and always worth the investment. The challenge is to figure out which of the Cricut bundles would be the perfect match for your style of crafting. What is Flocked HTV & How do You Use It? What is flocked HTV vinyl? Flocked HTV is a special type of heat transfer vinyl that has a lovely raised soft and fuzzy texture. But let’s back up a section and talk about heat transfer vinyl. 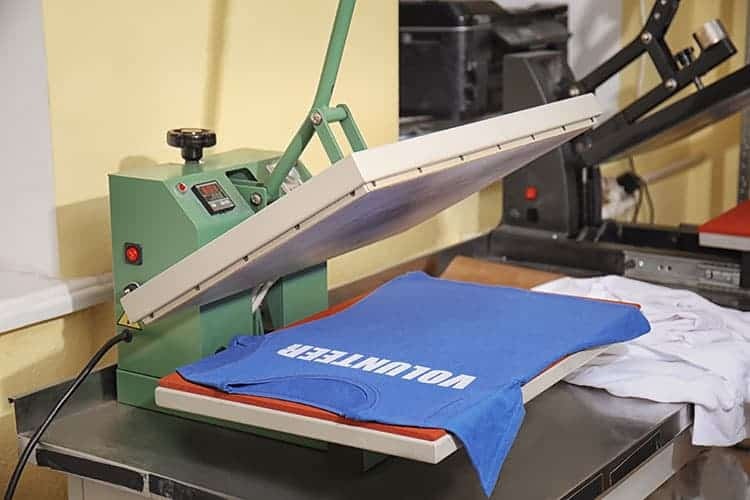 HTV or Heat Transfer Vinyl is a type of vinyl that can be ironed onto any t-shirt, sweatshirt, blanket or other cotton or polyester-based fabric. There are different types of heat transfer vinyl. 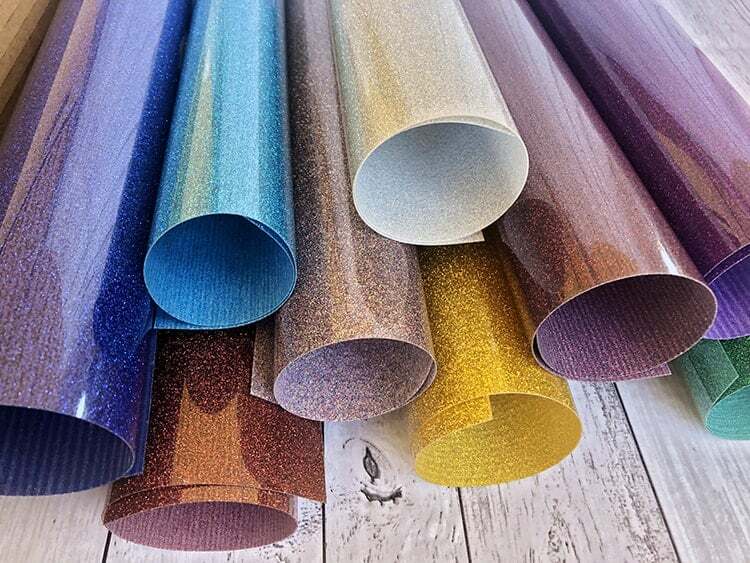 The most common type is standard smooth vinyl, but you can also find HTV vinyl in glitter, holographic, glow-in-the-dark, flocked and even more. 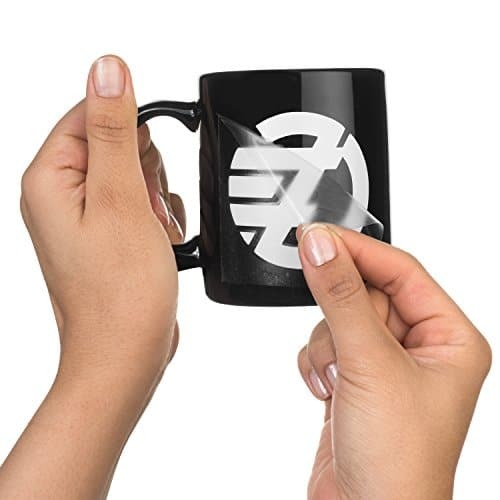 Today we want to zone in and focus on a common question that we get asked all the time: “What is flocked heat transfer vinyl?” And I also want to talk about how you can use flocked HTV. Flock heat transfer vinyl is the type of vinyl that feels like suede. It has a soft, fuzzy, raised feel and is a great way to add more dimension, thickness, and texture to your designs. Do you remember those embroidery patches on your favorite jeans when you were little? Well, flocked vinyl is very similar to those, except that it’s much more affordable and easy to apply. 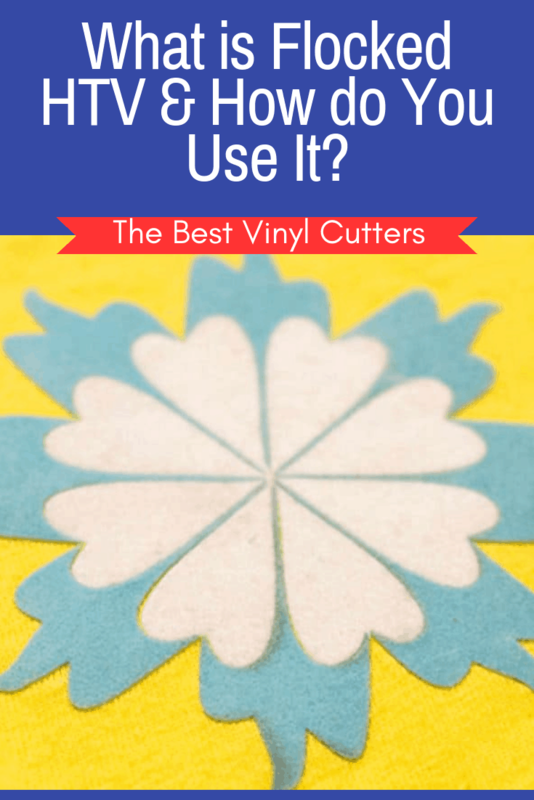 Like regular vinyl, you will need a vinyl cutter to cut your vinyl. You will also need either an iron or a heat press to apply this onto your fabric. The main difference between flock and smooth heat transfer is the texture and material. Flocked vinyl is fuzzier and it pops up for dimension, whilst smooth vinyl is flat and you guessed it … smooth. Smooth vinyl is more delicate, whilst flocked vinyl is tougher. These types of HTV vinyl are so different that they each require different cut settings. With smooth vinyl, you can just go ahead with the normal cut vinyl settings but when cutting flock vinyl, you need to increase the depth for your blade to cut through the textured flock. What Kinds of Surfaces Can I Apply Flocked Vinyl On? Flocked vinyl is fabulous on kids clothing because it adds a level of softness and cuteness to their clothes. We also love flock vinyl to create some professional logos on staff uniforms. The texture of the vinyl helps divide the logo from the clothing – you want your logo to jump out and be seen right!? Flock vinyl is one way to achieve exactly that. Flocked HTV is also fabulous for sports-lovers, it looks flash on sports hoodies, sports caps, as well as team shirts. Where Can You Get the Best Flocked Vinyl? Below you will find a list of the best flocked vinyl companies, together with ideas of where to buy them from. You can typically buy them in either individual flocked vinyl sheets or you can buy bulk in rolls. If you want the best of the best, we would recommend the Siser Stripflock which comes in 10 different colors plus your standard white and black. 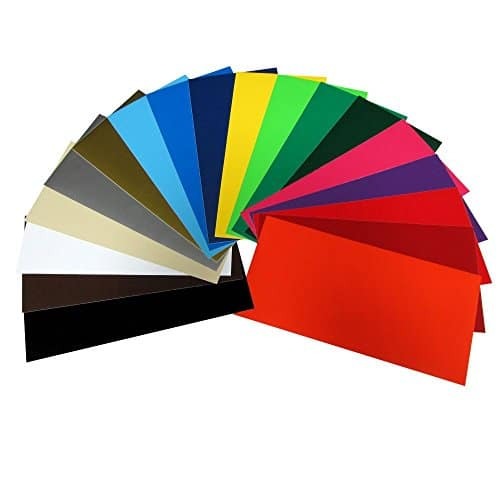 Siser has a fabulous reputation and most professional vinyl crafters often announce that Siser manufacturers the best HTV vinyl on the market. Why we think this is the best vinyl for use is because it is the only kind of flocked vinyl that you can use in multiple layers for creating different designs. Siser vinyl applies easily and it peels easily – it is overall just a really easy vinyl to use. You can purchase your Siser Flock HTV from Swing Designs here (our preferred store). Firefly flock vinyl is favored by many designers and DIYers. This vinyl comes in 6 colors, and is slightly more expensive than Siser. Important to note that you can not layer this flock vinyl, so best to use it for single color designs. You can grab Firefly Flock Vinyl from Amazon here. It’s not really hard to use flocked transfer vinyl once you get the gist of it. If you want to create multiple fancy designs, flocked vinyl works pretty good. You can layer it with smooth vinyl as well. Just lay down a sheet of smooth vinyl and heat press it, followed by a layer of your cut flocked vinyl (also heat pressed). 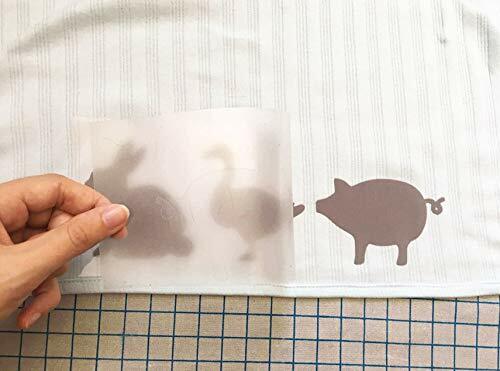 Moreover, with the Siser Stripflock, you can even layer one sheet of vinyl on top of another sheet of flocked vinyl to create multi-color designs. But let’s jump into the tutorial on how to use flocked vinyl. 1. How Do I Cut My Flocked HTV? As we have mentioned before, you will need a vinyl cutting machine to cut your flocked vinyl. Also note that flocked vinyl requires more blade depth than smooth vinyl. However, this varies from one manufacturer to another. They will likely put instructions about the cutting requirements on their packaging. Also, it depends on which kind of cutter you use. Here is a general guideline that you can try out – best to try it one a small sampler size to see if your machine cuts correctly. I personally use the latest Cricut Maker Fabric Cutter to cut my flocked vinyl and have never had an issue with the settings. Do remember that if you cut your vinyl and you realize it didn’t cut through properly you can always ask the machine to do a re-cut. Next, simply weed and peel your design as you normally would in order to prepare it for the application. More info on weeding vinyl in our post here. The first step, make sure you read the instructions that come with the vinyl you bought. Each brand is different to the other and they will typically provide you with the temperate and time settings that are required to apply their vinyl brand. You can use either an iron or a heat press (read about the differences between an iron and heat press here). I prefer using a vinyl heat press for my designs. Remember to do an initial press before laying it on the fabric. This will remove any moisture and will remove wrinkles from the fabric. After that, set your temperature at 320-degrees Fahrenheit, add pressure for about 15 seconds, check the corners carefully to see if it applied properly if it lifts up simply apply more heat and pressure. With iron, you can follow the same steps except you have to set it at ‘cotton’ or ‘high’. Apply pressure for 20 seconds, before moving onto the next section of your design. Make sure to follow the vinyl instructions on whether to peel the plastic when it is cold or when it is still hot. The Siser StripFlock should only be peeled once the plastic is cold to touch. And that’s it! You’re done. It’s as simple as that. Don’t forget to wait 24 hours before your 1st wash. Always set the machine wash to warm or cold and use mild detergent. You can tumble dry your clothing, but I recommend turning your shirt inside out to protect the vinyl. Tumble dry on cool or normal but avoid hot. Finally, we have come to the end of today’s article. What we have given you are the important basics one needs to know about flocked heat transfer vinyl. And we hope you enjoyed it! Would you like to learn more about how to use heat transfer vinyl for your next craft project? Heat transfer vinyl is a brilliant product. My favorite way to use HTV is to create customized t-shirts for my children, but you can also use it on canvas bags, shopping bags, canvas shoes, hats, caps and so much more. It is fairly easy to work with heat transfer vinyl, but you do a really clear tutorial to follow when you try to use HTV for the first time because if you do get a few steps wrong, it will totally ruin your design. 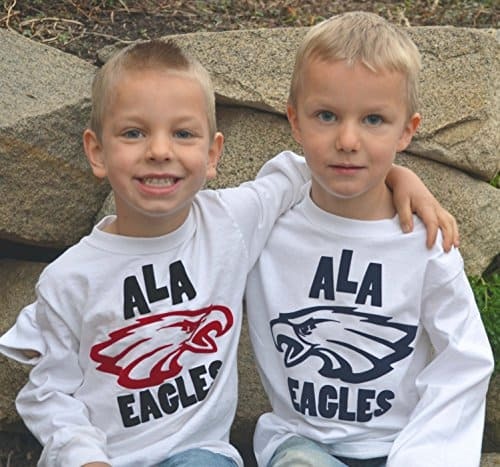 Today we share our ultimate beginner’s guide to customizing t-shirts using heat transfer vinyl. So, get ready to manifest your graphics and witty tees! Before we start, let’s first take a look at what heat transfer vinyl is. Heat transfer vinyl, which is also known as ‘HTV’, is a special type of vinyl (or material) that can be used on certain fabrics and materials to create unique designs. This type of vinyl comes with an adhesive backing that melts with the application of heat. Just in case you’re wondering, this method is not only for creating customized t-shirts with designs. It can be done on bags, notebooks, dresses, caps, and other possible surfaces you can imagine. 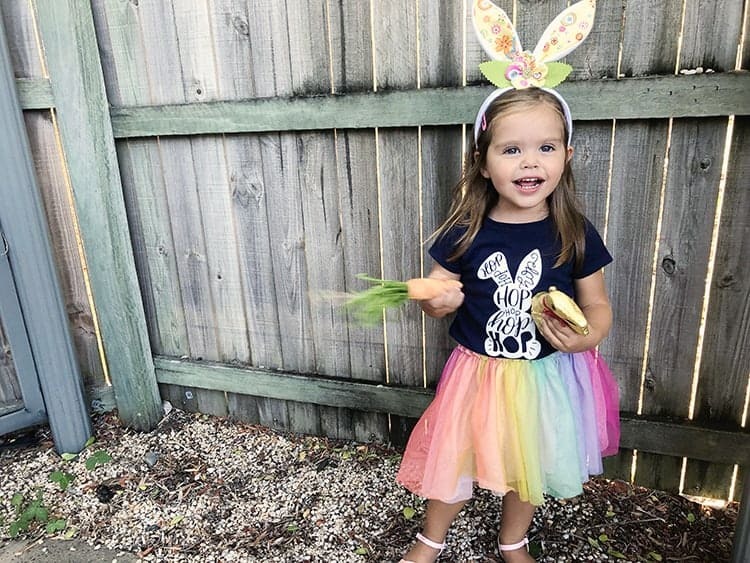 It’s perfect if you want your clothes to reflect your personality and your tastes, or if you wish to created themed clothes for special events, such as birthdays or Easter. So, what are we waiting for? Let’s read along for more HTV instructions! 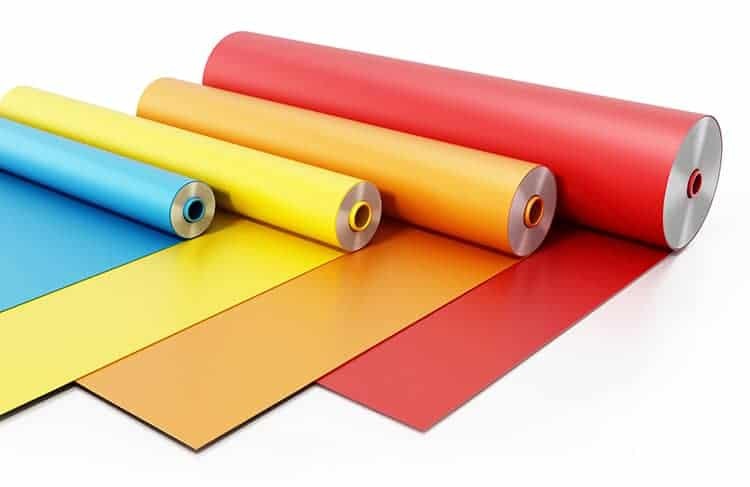 There are 3 main steps involved in using HTV vinyl. Firstly you will need to learn how to cut heat transfer vinyl, next you will learn how to weed and prepare your design and lastly, you will learn how to apply the design to your product. Wondering how to use HTV vinyl with your vinyl cutter? Here are some basics steps to follow. Please note that the steps will be slightly different depending on which brand vinyl cutter you use. For this first step, you need to prepare your design using design software (we recommend using Silhouette Studio or Cricut Design Space for beginners because it is easy to use). There is a range of files available for designs. For instance, SVG files are mostly graphic designs while .jpg files are photo-quality files. Some files are more compatible and work better with designing software and cutting machines, while some don’t, so do check compatibility with your chosen software. Side Note: How to Get a Design File? Basically, you download free ones if you’re just starting out and practicing. You can find a list of free SVG File Websites here. If you’re planning to sell your creations, make sure you get royalty-free designs in the initial stage to be on the safe side. You can also get your design customized by a designer online. There are sites selling good-quality cut-files, starting from $2 and above. It mostly depends where you get it from. When the design is prepared, you now need to measure the area (on the shirt/product) where the design will be. Then, open the software and check for a cut-file option. Adjust the size of the image as measured on the shirt by using the pointers on each of the four corners. After you have finished measuring, make sure you select mirror image (on the software). This is because the cutting side is done from the back of the design (the area where you apply the design on the surface). In this section, we’ll show you how to cut the heat transfer vinyl. 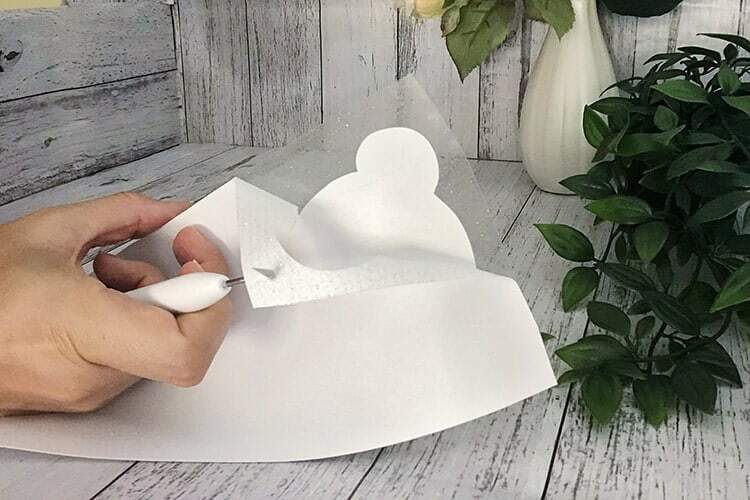 Cutting HTV is not very complicated, but you really will need a good quality vinyl cutting machine in order to do a good job. Note: Should you Have the HTV Shiny Side Up or Down? First, place your vinyl upside down (shiny side down) on the cutting mat and adjust the size before you start. Before kicking off with the cutting process, remember that there are different cutting adjustments for different types of vinyl you use, as well as different settings for each type of cutting machine. Load up the mat in your cutter and next select the current type of vinyl from your options. This step will differ depending on the machine you use, some machines have a dial that you need to turn and adjust, others have settings to choose from in the software itself. Also make sure you have selected the right blade for the job. 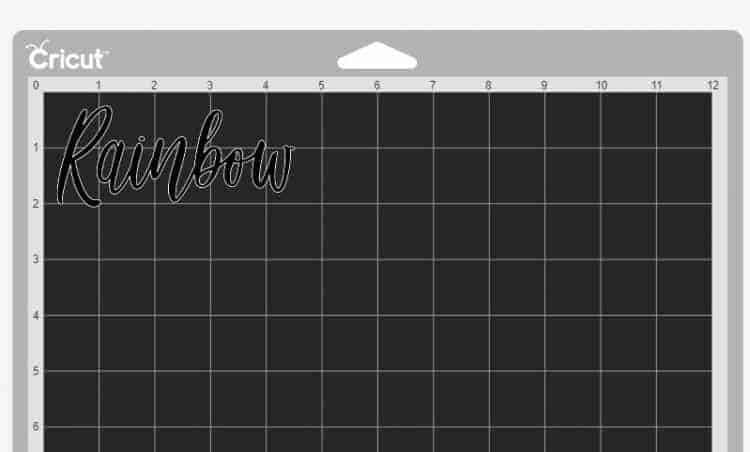 You will often find a handy sheet that comes with your vinyl that can help you out with the right settings, or you could do a simple google search as many brands list the settings for both Silhouette and Cricut machines on their websites. You are now ready for cutting! So step aside and let your machine work its magic. Following you will find the heat transfer vinyl instructions on how to weed and prepare your design prior to the heat application stage. After cutting, you are required to peel off the excess vinyl so you can finally get to the design you want. If you’re working on a small design, chances are, there will still be enough space on the vinyl for another project. It would be a waste if the whole sheet is to be discarded. What you can do is cut off the rest of the usable vinyl before weeding the excess. Also, for weeding, you will require a sharp/pointed pick. This will ensure that the design won’t get damaged. There are hooks you can check out that are made specifically for weeding. I love the Cricut Weeding Tool Set. You can the sharp points of these tools to pick out all the remaining vinyl, such as in the “o” of a letter. Remember not to remove the design – you are removing all the vinyl that you don’t want. The design should stay on with the plastic carrier cover (which is meant to keep the design intact) and it will be used for the ironing process later. In order to get the design to stick to your material, you will need to apply heat and pressure. The heat melts the frozen adhesive, allowing it to stick firmly on to the t-shirt. In order to do this, you can use an iron (not really recommended), or a heat transfer vinyl press (preferred). 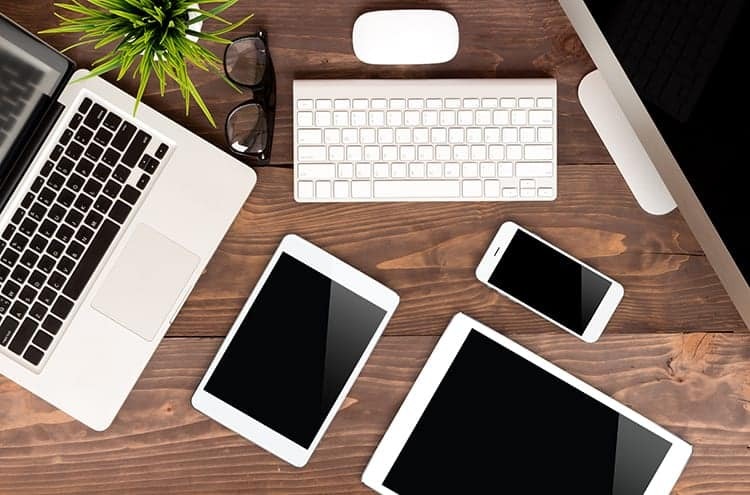 Before pressing the design, prepare your workspace, you need a sturdy surface (not an iron-board) and you will also need a towel or a heat press pillow that you will use to protect your work surface. Next, I also highly recommend that you give the shirt a quick 10-sec pre-press to remove wrinkles and moisture. Set the temperature and timing on your press (the HTV vinyl will come with instructions and info on these settings). Once your press is hot enough, place your design onto your shirt face-up and simply press the design (set at the correct temperature, with the correct time setting and whilst applying pressure). If the design surface is large and you are using an iron or a small heat press, you might have to repeat the process to all areas in order to ensure that every area gets equal heat and pressure distribution. Next, flip over the shirt and apply a little heat on the reverse side of the shirt. Check your HTV vinyl and read the instructions to see if your type and brand of vinyl is a “cold-peel” or a “hot peel”. This just refers to whether you should peel the plastic when it is cold or hot. Slowly and carefully lift up the corner of the plastic sheet. Check if the vinyl stays or peels along with the sheet. If it stays, that means it’s working great. If it sticks with the sheet, you will have to lay it back down gently and apply more pressure. Peel away your plastic. And wha-la look what you just created! Note: If you use smooth vinyl, the final result will also appear very smooth. On the other hand, if you use flocked vinyl, you will notice that it gives out fuzzy effects when you’re done. One last thing, let the t-shirt rest for a day before you decide to wash it. And always wash your t-shirts inside out. Steer clear of tumble dryers. And well, that’s everything! We have finished the last step. Your t-shirt is now ready to hit the snazzy streets! 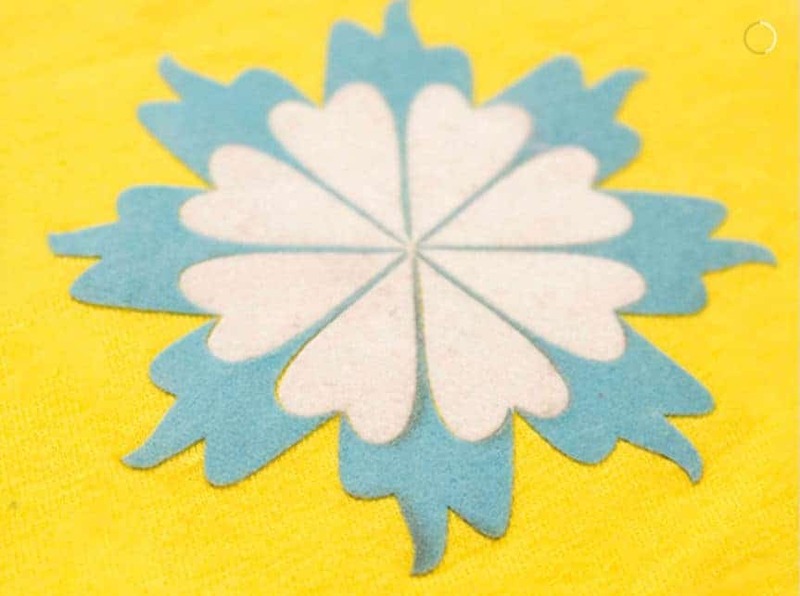 We sure hope that our tutorial on how to make heat press transfers was beneficial to you. The popularity of vinyl art has soared in recent years thanks to an increased demand for vinyl stickers, wall decals and customized t-shirts! In fact, dozens of vinyl cutting home businesses pop up every day, and thousands of passionate vinyl artists are grabbing on to this opportunity in order to make some money out of their art. If you’re someone who’s intrigued by this wonderful emerging art form and wish to get started with your own vinyl cutting business, you’re at the right place! Since you’re reading this, it’s safe to assume that you’re a beginner who’s just starting to learn the tricks of this trade. So, in order to help you get started, we’ve made a little guide that will equip you with all the necessary knowledge you need to get underway with your first vinyl art project. Working with vinyl doesn’t necessarily require you to have an electronic vinyl cutting machine, but having one does help a lot if you’re looking to get precise and high-quality designs! Having a pair of scissors or a craft knife is usually enough if you’re just getting accustomed to this art. 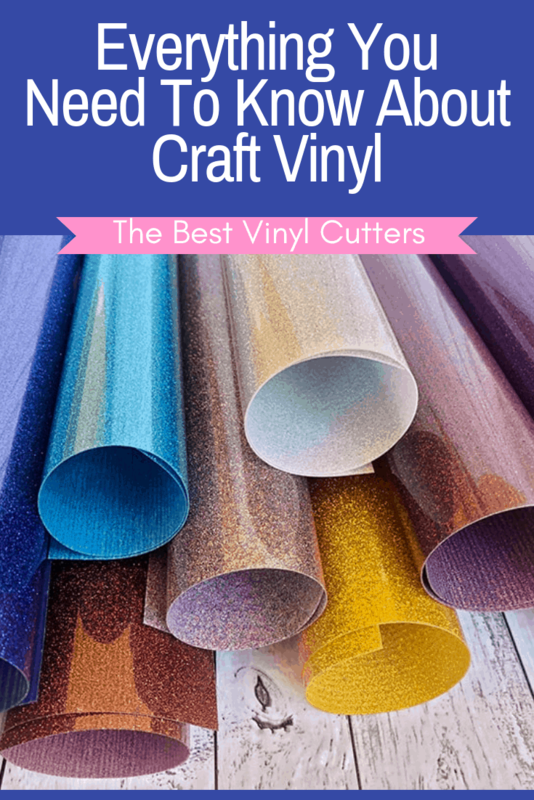 But if you’re looking forward to starting a serious Crafting Vinyl Business, you’re going to need a good quality Cricut cutter or Silhouette cutting machine (or any other brand, but these are my favorites for those getting started). 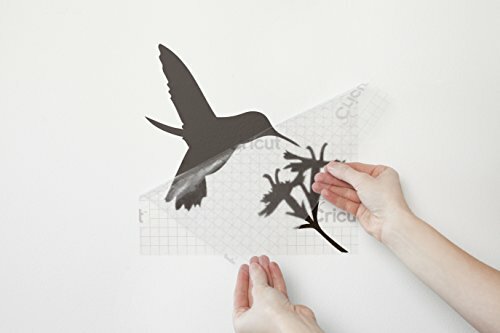 I’ve been using vinyl for crafting projects for quite a long time now, and I personally use a Cricut Maker, but the Silhouette Cameo 3 is also really popular. These type of electronic cutting machines are a godsend when you need to cut highly complicated designs that have a lot of detail. In fact, some designs are nearly impossible to cut with regular scissors, or even crafting knives! So if you’re looking forward to working with vinyl for craft, consider getting yourself one of these machines! With so many kinds of vinyl out there, it’s easy to get overwhelmed if you’re a beginner. However, with the right knowledge and some hands-on experience, it won’t be long before you figure out what matches your style. These two broad categories have a lot of sub-types, and each has its own style and standards. These type is also known as ‘sticker vinyl’ and has a pressure-sensitive adhesive on a thin material which can be cut into all sorts of designs and shapes. You can choose either a temporary removal vinyl or a permanent adhesive one. You can find out more about what the best adhesive vinyl is here. This type of vinyl is extremely popular when it comes to making customized t-shirts and other kinds of fabric printing. It uses a heat-activated adhesive that can be used to transfer the design on to fabrics. You can find all sorts of types of HTV vinyl. 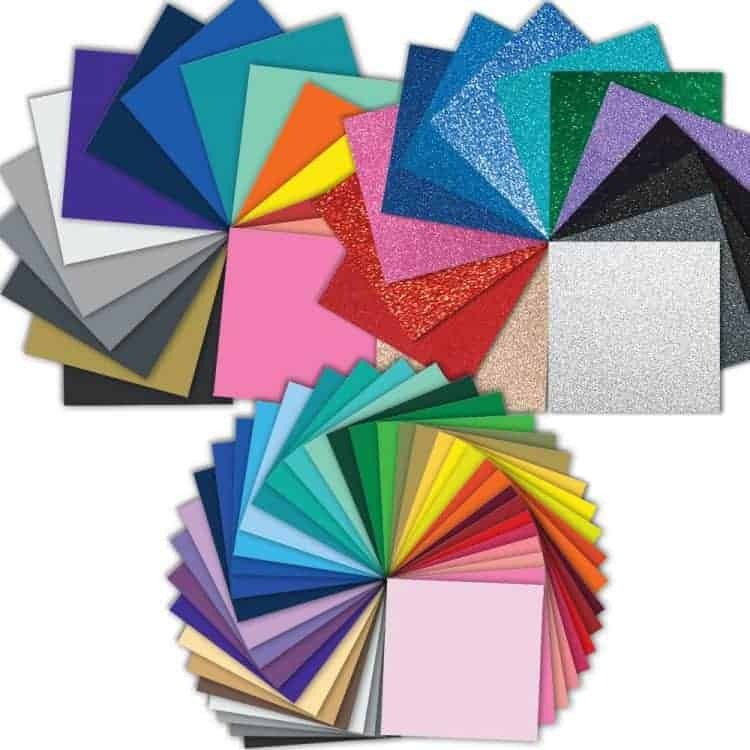 My favorite is glitter HTV, but you can also find holographic, flocked HTV, metallic HTV, Glow-in-the-Dark HTV and so much more! Find out what the best HTV vinyl is here. What Tools & Supplies Do You Need to Get Started? 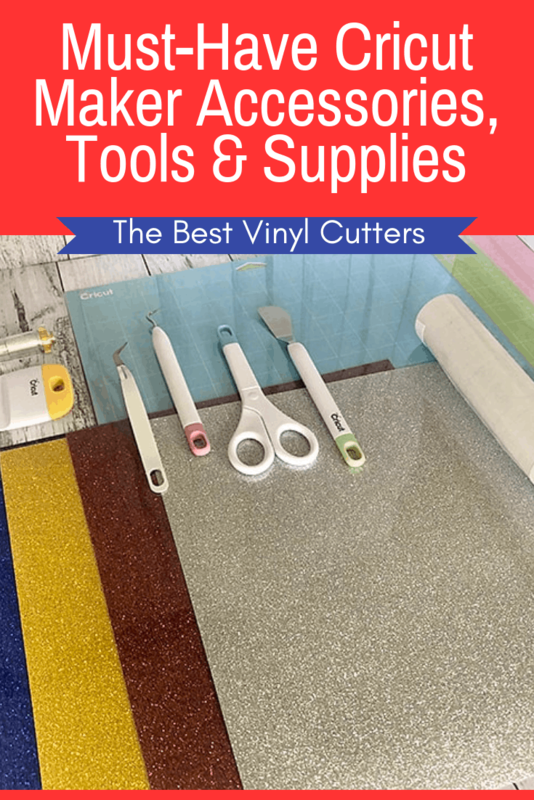 Apart from an electronic vinyl cutter, there are a few other tools that you’d need in order to get started with vinyl crafting. Most of the time when you buy an electronic vinyl cutting machine, you also get a software along with it that’s supposed to help you with cutting out your designs. It is always worthwhile doing some tutorials to get to know your software really well. These things help you to cut out highly accurate designs. Different types of materials require different types of cutting mats. 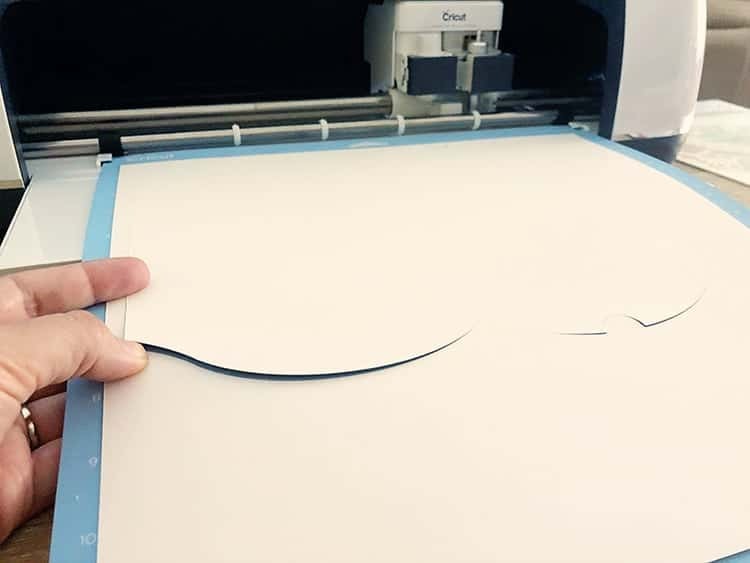 The cutting mat will have an adhesive on it, to help keep your vinyl in place whilst the machine blade cuts your design. You can learn more about the types of Cricut Mats here. The blades on your vinyl cutting machine get worn out with time, and hence need to be replaced periodically. So get yourself a couple of extra blades! Click here to learn more about Cricut blades here. Once you have cut your design with your machine, you will need to weed the excess vinyl away. Weeding is a process in which the unnecessary excess vinyl is removed from a design sheet. See full post here. To remove vinyl, you will need special tools. Apart from these, you’d also need a few other supplies depending on what type of vinyl you’re working with. Getting yourself a transfer tape is a must if you’re working with adhesive vinyl. These things allow you to transfer your design from the paper backing of your vinyl to the final surface. 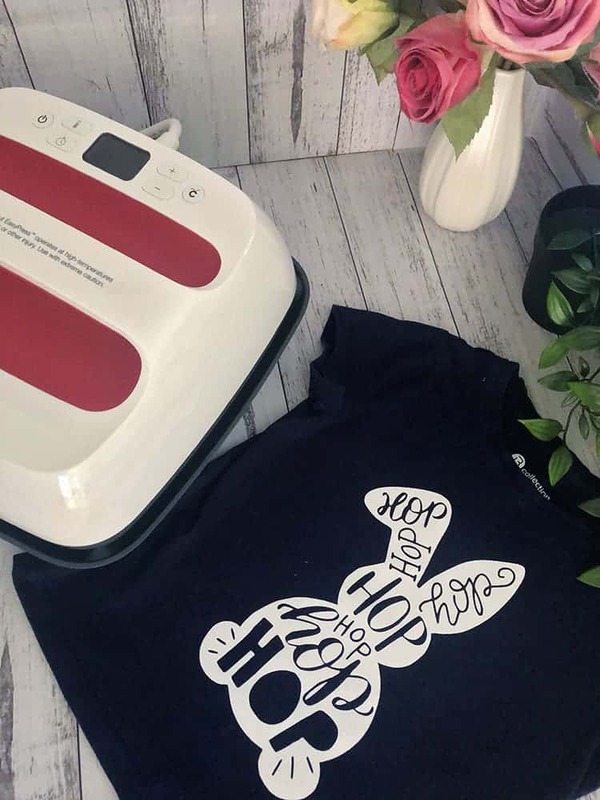 If you’re working with heat transfer vinyl (HTV), you’ll need to get an iron/heat press/Cricut EasyPressCricut EasyPress in order to transfer the design to the final surface. 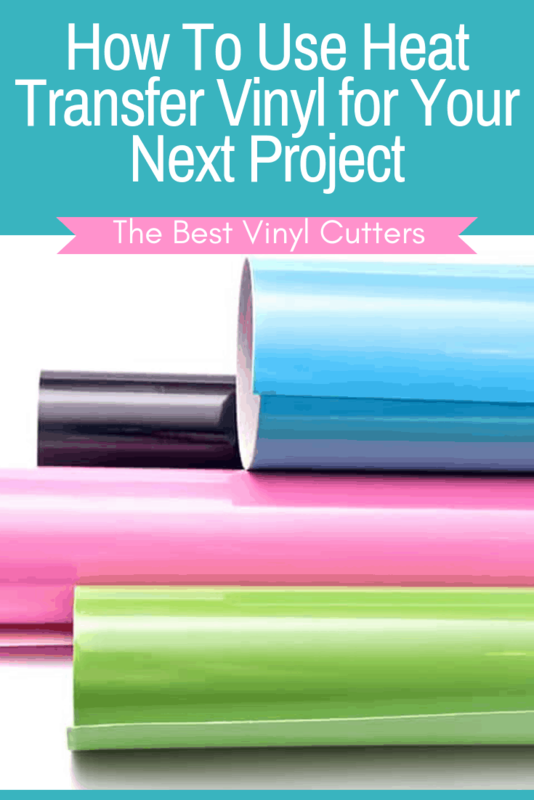 We’ve covered almost everything you need to know in order to get started with vinyl crafting. If you’re serious about this art form, we recommend you get yourself the required equipment and start practising. We hope we’ve been able to help you out with this guide, and we wish you all the best! So, you have probably already bought a Cricut Maker (YAY!) or maybe you are still doing some research (read our Cricut Maker review here). Whatever your reason is for arriving on this page, I’m glad you are here. I LOVE LOVE my Cricut Maker and I love whipping up a large variety of projects on it. 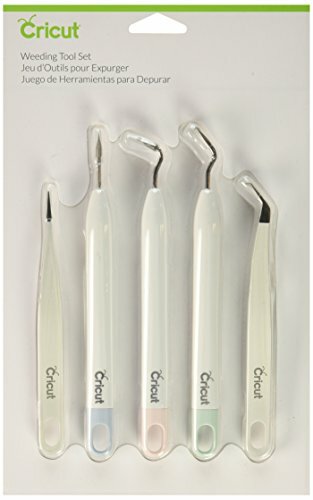 So I wanted to share a list with you of what I believe to be the must-have Cricut Maker accessories, tools & supplies. But I don’t want you to waste your money, so before you do anything else, have a bit of a think about which type of projects you wish to work with. That way you will buy the Cricut tools and accessories that suit your interests. I’ve tried to make it very clear when tools are only required for a very specific type of project – such as working with fabric etc. Before enough with the talking, let’s get to it, shall we. Now, let’s have a look at which tools I would highly recommend you purchase to be able to enjoy a variety of project crafts. Below you will find a list of the tools that you should purchase with your Cricut Maker. I will discuss what each tool will be used for. Obviously, have a think about which type of crafts you would like to make – so that you can only purchase the tools that will support your crafting type. 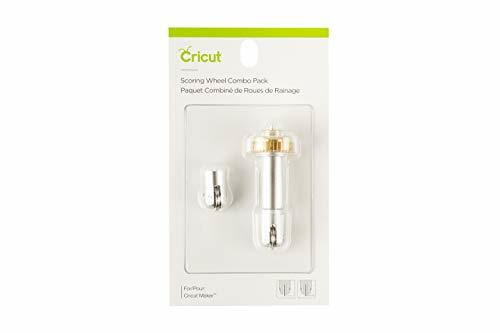 You will receive both the standard and the rotary Cricut cutting blades in your box. The rotary blade is used to cut fabric and the standard blade is for most ‘normal’ materials that most people cut. You can read more about the Cricut Maker Blades here. Now, if you want to work with REALLY thick material, you will need to purchase the Cricut Knife Blade. This blade is an extra-deep blade that can slice through dense material that is up to 2.5 mm in thickness. It is perfect for cutting material such as balsa wood, matboard, and chipboard. Grab the Knife Blade with housing here. You will receive the LightGrip and the FabricGrip mat in your box (read more about the Cricut mats here). 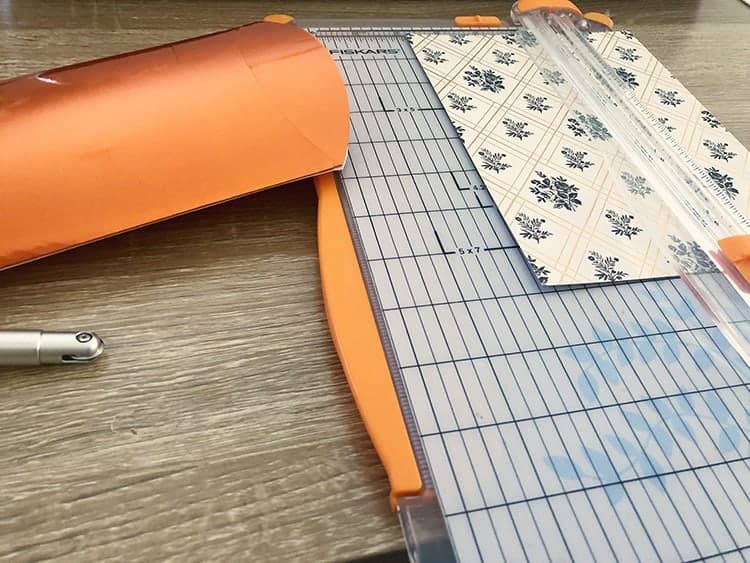 If you wish to work with the knife blade to cut thicker material, you will need to purchase the StrongGrip Cricut Mat (which has a stronger adhesive to keep the materials in place). 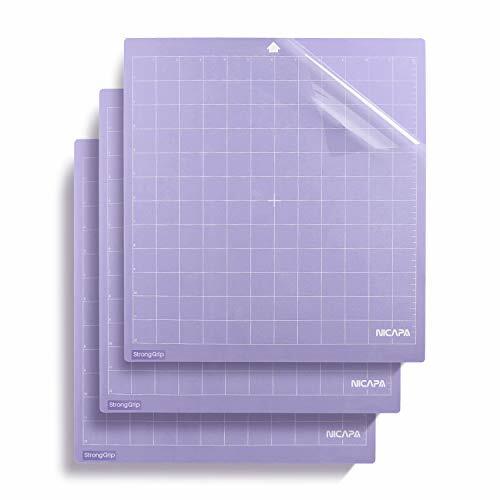 I also highly recommend that you purchase the StandardGrip mat, which you will use to cut standard material such as cardstock, vinyl etc. I can’t live without this mat, you will use it for sure!! Scoring is brilliant if you love creating things that need to be folded, such as cards, envelopes, boxes and other 3D paper crafts. The Scoring Stylus is a tool that you use by hand with a ruler to create your own gold lines, and the Scoring Wheels are like ‘blades’ that you pop into your machine and the machine creates the lines for you. These are really handy to have in your stash as well. Grab the Scoring Stylus from here. Grab the Scoring Wheels here. Cricut pens are used to draw shapes and to embellish projects with beautiful text. You can also create coloring pages with pens as well, or use them to create beautiful cards. These pens are acid-free, non-toxic, and permanent after 24 hours of drying time. You will get the black pen with the box, so you might prefer to see if you use it before investing in more pens, but I do find that they are valuable to have in my stash, even though I don’t use them for every project. If you want to work with fabric, I also suggest you grab one of the washable fabric pensas well. 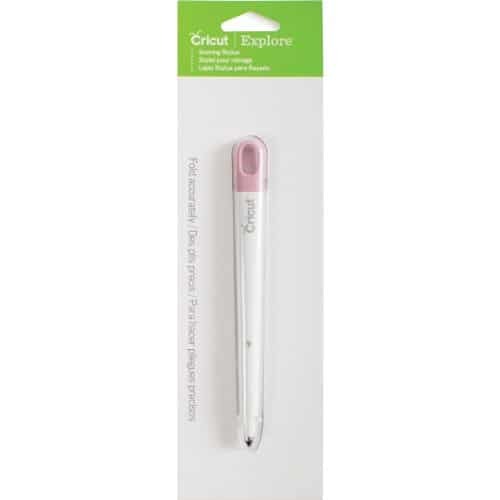 You can browse through the range of Cricut Pens here. 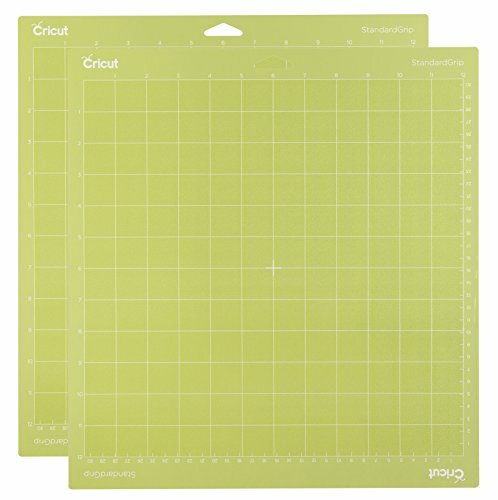 The standard Cricut mat size is 12 x 12″, but this can be very limited to work with. 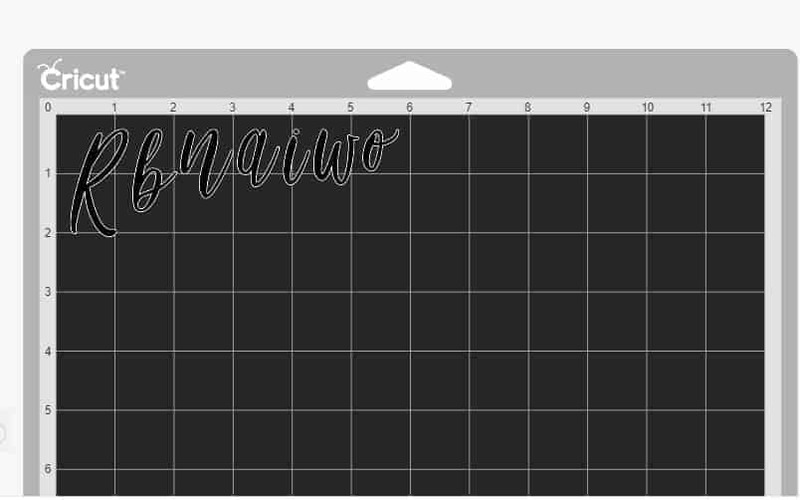 I LOVE the longer 12 x 24″ Cricut Mat, so that I can create larger vinyl decals and cut larger sewing panels for my projects. 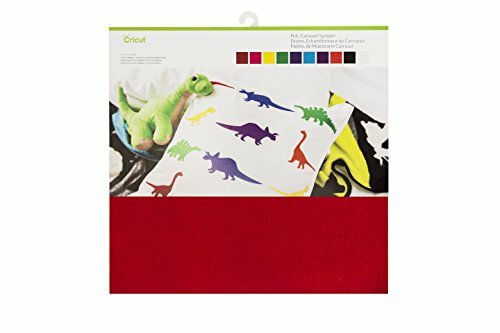 Grab this beautiful large mat from Amazon here. Now that we have had a look at the best tools to buy for the Cricut Maker machine, let’s look at some of the best Cricut Maker accessories. A Cricut Trimmer is really handy if you are a scrapbooker or cardmaker. 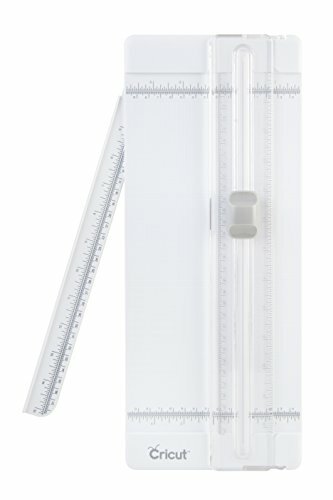 You can quickly and professionally trim down your paper or cardstock on this fabulous trimmer. Grab your Cricut Trimmer here. The Cricut Brayer is essential if you plan are working with fabric. You will need to use a brayer to smooth out your fabric over your Fabric mat. Especially handy for the thin and flimsy materials. The tweezers are great to help you lift off the fabric from your mat. The pink mat only has a thin layer of adhesive, so you really have to be careful about touching your mat, and please don’t scrape it either. You can grab the Brayer and Tweezer Set here. The Cricut Basic Tool Set is a must-have. You will definitely use these tools. The Scraper & Spatula are used to aid you in lifting projects off your Cricut mats, which helps to preserve the adhesive on your mat. They are definitely a necessity. The weeder and tweezers are great for your vinyl projects. And we all know what scissors are used for. You can grab the essentials tool set here. 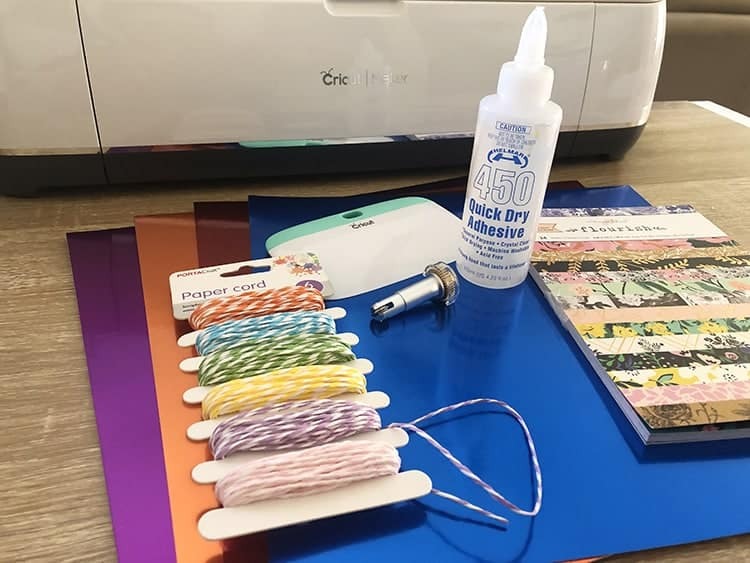 If you prefer you could purchase the weeder tool set (for vinyl projects) or the paper tool set (for scrapbookers and cardmakers) instead. I love my XL Cricut Scraper. Whilst you can use it to clean up your mats, I love using mine when I’m applying adhesive vinyl. It just helps to ensure that the adhesive sticks really well to my product. 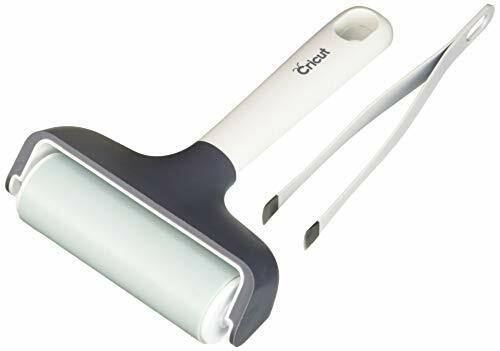 Grab your Cricut XL Scraper here. The Cricut Sewing Kit is a great companion tool kit if you plan on cutting fabric with your machine. It includes 8″ Fabric Shears, Thread Snips, Seam Ripper, A Cricut Maker Pin Cushion, Set of Pins, Measuring Tape and a Leather Thimble. Grab your Sewing Kit here. Planning on working with iron-on transfers or HTV (heat transfer vinyl)? An iron can be very unreliable because you have to guess how hot it is, as well as guess how long you are applying it for. Take the guesswork out and get an EasyPress 2 instead. You can set the temperature and set the timer electronically. I love my EasyPress. Grab your EasyPress 2 here. Not sure which size to get? Here is a helpful post about which Cricut Easypress 2 size to buy. 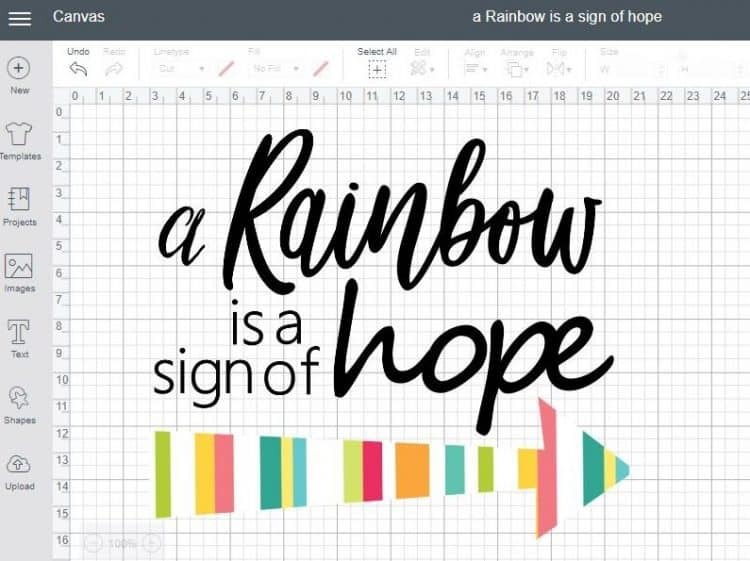 The Cricut BrightPad is a fabulous tool for those who plan on working with vinyl on a regular basis. Pop your vinyl on the light surface and it will make your cut lines show up so much clearer, which means that you can weed and remove vinyl pieces so much quicker. 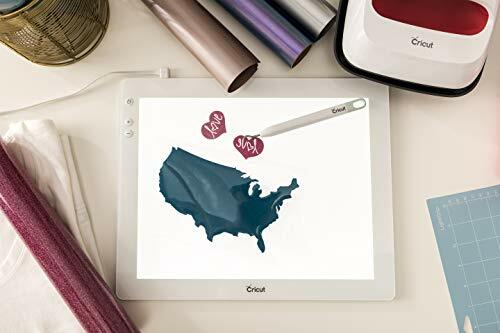 Grab your Cricut BrightPad here. Now, you might have just purchased all the Cricut Maker tools and accessories that you will need, but what about the actual supplies that you will need to purchase. Cricut Premium Adhesive Vinyl is a fabulous product to have on hand. You will use this vinyl for things such as sign making, decorating glassware, home decor projects and so much more. 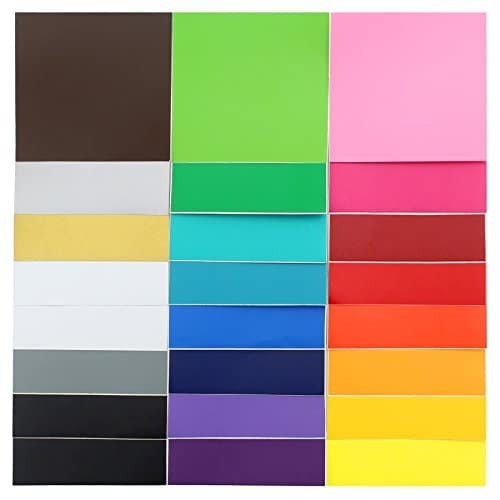 The Cricut adhesive vinyl comes in a large variety of colors, as well as speciality types. I find their vinyl is easy to weed and apply. Browse through their collection of adhesive vinyl here. If you are working with adhesive vinyl, you will also need some transfer tape. Transfer tape is ideal for transferring your adhesive vinyl from the mat to the surface that you wish to apply the vinyl decal to. Grab some transfer tape here. 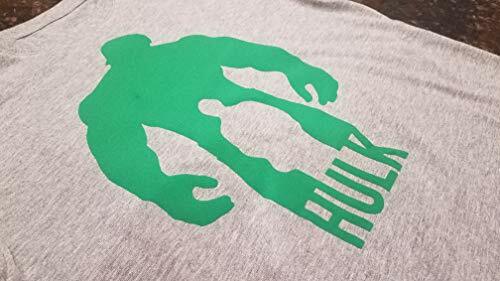 Cricut Iron-On is my favorite product, you can apply this to fabric such as t-shirts, tote bags, aprons, etc. You can also apply it to wood and metal as well. Again, you can find it in a variety of colors and speciality types. I really love the glitter range, but you can get foil, patterned, holographic and more. 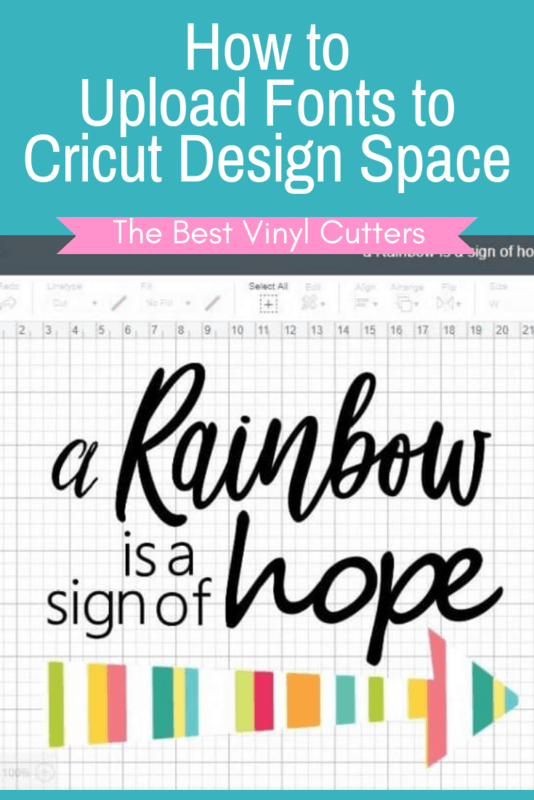 Browse through the range of Cricut Iron-On Vinyl here. Cricut has a wonderful range of beautiful fabrics for sale. Perfect to use with your rotary blade. The range of fabrics includes Designer Fabrics, Fusible Fabric, Pre-Cut Fabric and even Quilting Kits. You can also find a massive range of sewing patterns that are ready to go in the Cricut Designs Space Software as well. 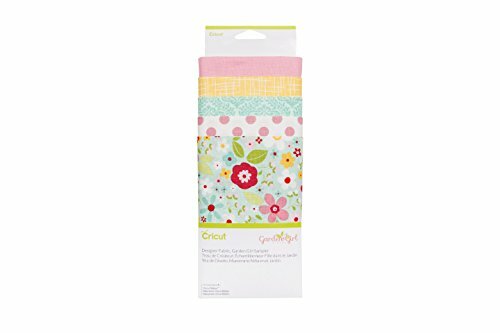 Browse through the lovely range of Cricut fabrics here. Felt is ideal for kids’ crafts, stuffed animal toys, textured baby decor and more. You can easily cut felt with the rotary blade. Grab some Cricut Felt here. If you want to try out the Cricut Knife Blade, you might want to grab some Chipboard. You can use chipboard to create some puzzles, photo frames, or to design some 3D models. 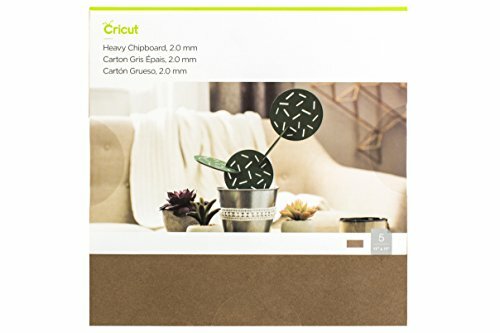 Grab some Cricut Chipboard here. Lastly, is the essentials. Grab some Cricut Paper, cardstock and speciality papers here. 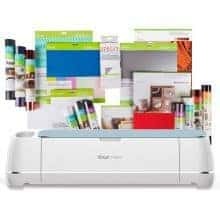 And lastly, we also recommend Cricut Maker bundles as they offer such fabulous dollar saving value. 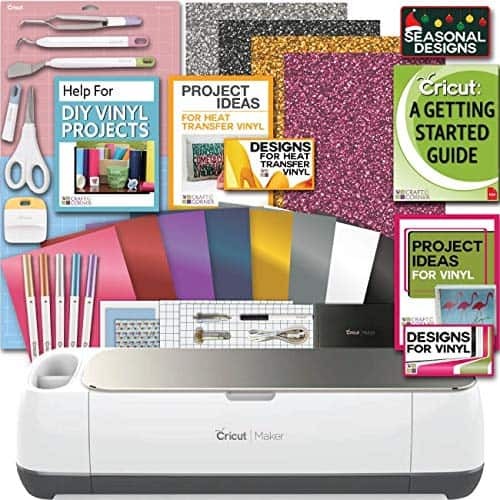 If you haven’t purchased your Cricut Maker yet, you can grab a machine and supplies bundle – see our list of Cricut Maker deals. 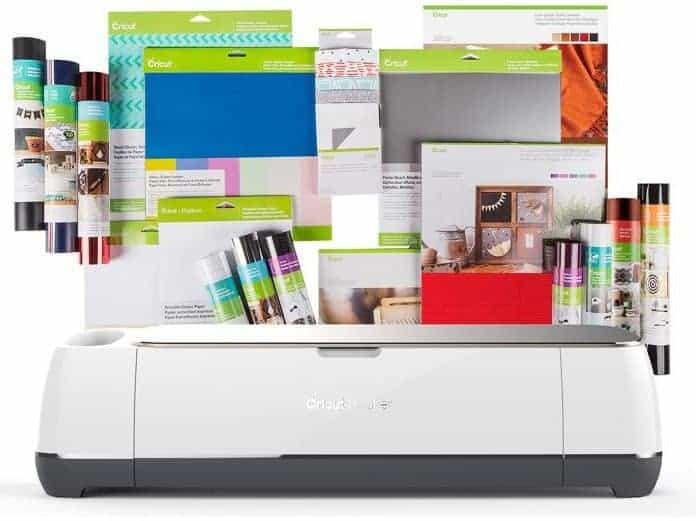 If you have already purchased your machine, you might prefer to pick up a Cricut Starter Kit. 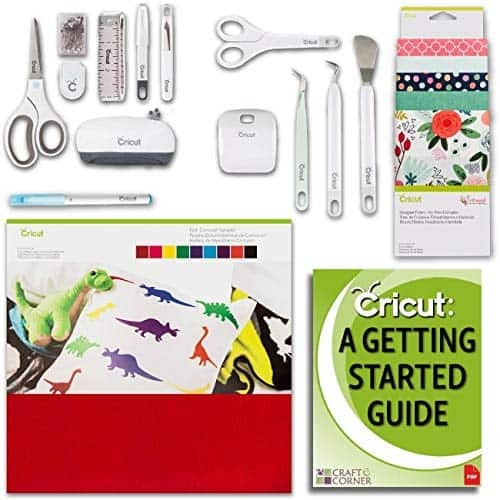 This Cricut Maker Accessories Bundle Beginner Kit above contains Cricut Designer Fabric sampler, The Cricut Maker Washable Fabric Pen, Cricut Basic Tools set, Cricut Maker Sewing Kit and the Cricut Felt Sampler. You can check out this lovely bundle on Amazon here. 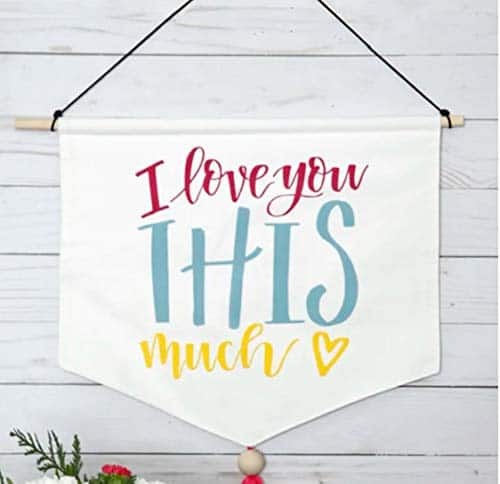 There are so many more things you could purchase to compliment your Cricut Maker, but these are the ones that I pick up most often and that I have found to be valuable for my crafting process. If you have any tools that you love, please leave us a comment below. 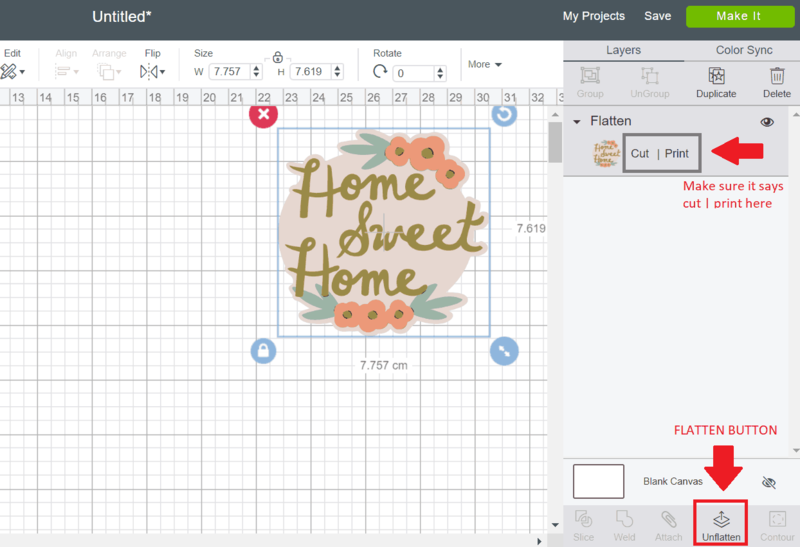 Wondering how to upload fonts to Cricut Design Space? We have a fabulous tutorial for you, but before we start I wanted to clarify one thing. The term “upload” fonts to Design Space is kind of misleading. Fonts are actually “accessed” on Design Space. Design Space accesses your font files on your computer, but it doesn’t store it on Design Space. This means that whilst your Cricut fonts live on Cricut Design Space, your downloaded system fonts for Cricut, actually live on your device you installed it on (more about that below). It really isn’t much of an issue, but it is important to understand. Once you get the hang out of working with downloaded fonts, it really gives you a ton of flexibility when creating your Cricut designs. Trust me you will get addicted! So here is our full guide on working with downloaded fonts for Cricut Design Space. Can you Add Fonts to Cricut Design Space? Short answer – Yes! 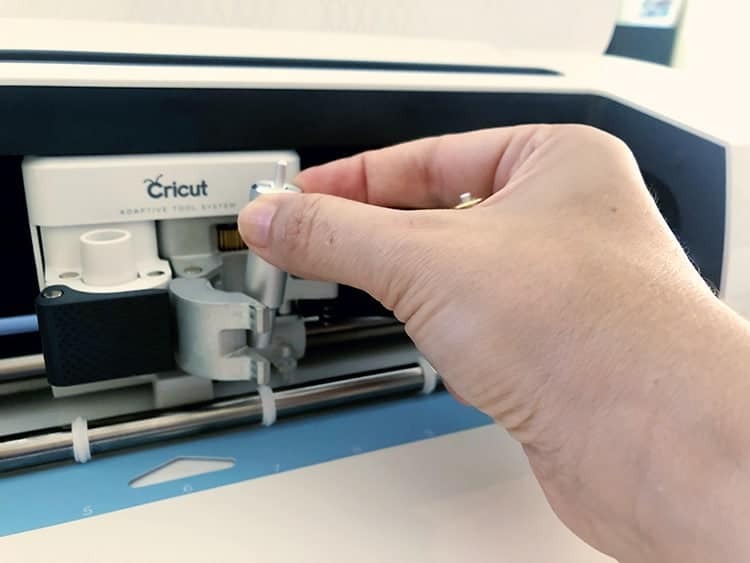 Cricut Design Space uses installed fonts, so what we can do is to install the font on our systems and then reload Design Space. Unfortunately, though not every font you install will be compatible with Cricut Design Space. Now, because it is so quick and easy to download and install fonts, I always give it a try anyway and more often than not the font gets picked up perfectly fine. Before we continue I really have to point out that you don’t actually upload the font TO Design Space itself. The fonts you download are called system fonts. System fonts are specific to the device you’ve installed it on. So if you download and install a font to your computer, it will only work on Design Space when you are on the computer. If you use different devices with your Design Space, I would recommend that you install your favorite fonts across all your systems. Another factor I wanted to talk about is that not every font out there is cut-friendly. 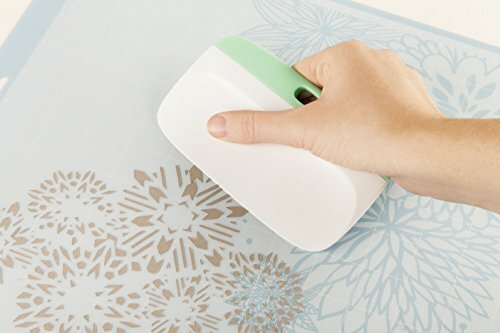 Your Cricut cutting machine is really designed to work with clean lines and simple designs. So have a good think about whether your machine will be able to handle the font you wish to use. This font above, for example, might be arty and interesting, but it really isn’t a good fit for vinyl designs and I bet even your draw function would struggle with this one a little bit. So find one that has smooth curves and straight lines. You can also purchase fonts. The benefit of purchasing a font is that it will come with a commercial license. If you plan on selling your projects, you will need to get commercial free fonts or buy a font with a license. Okay, so now that you might have a font, let’s look at how to download fonts to Cricut Design Space. So first things first, remember that the font will actually live on your computer/tablet. Simply download the font from your chosen site. Most sites have instructions or a quick download button and save it to your computer. Find the file on your computer. The file will be zipped, so unzip the folder. Next, click on the font file with the .ttf extension and click on install. 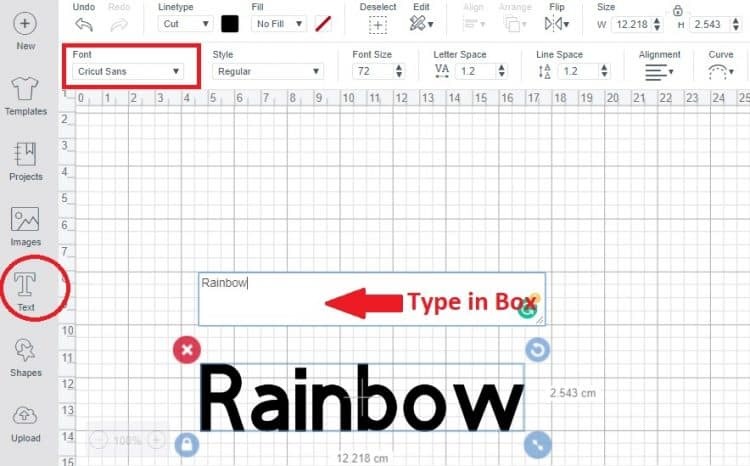 Now that you have the font on your computer, you might be wondering how to import fonts into Cricut Design Space? Really easy. Simply start up (or close and restart) Design Space and it will automatically load your new font. Click on the “Text Tool” and type your word. Go the “Font Selection” option and simply search for your font. Tip: Cricut also sells fonts in Circut Design Space. I once downloaded a font that they also had for sale and didn’t notice it when I picked my font – and then Cricut wanted me to pay $4.99 before I was able to cut. It confused me for a bit, so look out for that and be sure to pick your free font. The easiest way to find your font is to select “system” and then simply type the name of your font into the search box. I love to go the extra mile and make it really easy for Cricut to cut my fonts. 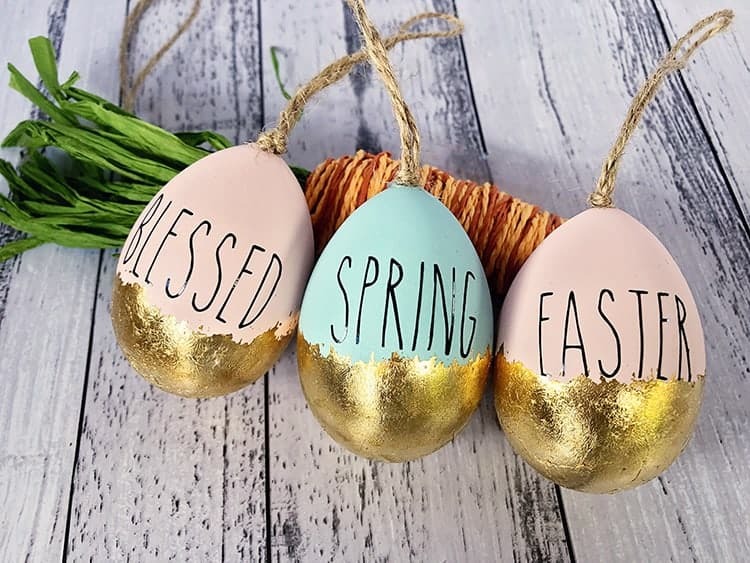 The reality is that Cricut is so amazing that it can even handle super thing and delicate individual letters – see my Easter Eggs as an example, so delicate. But it sure makes life easier when your flowing font does indeed touch and I also suggest you weld the letters to make one image. 1. Decrease the letter spacing to -0.5 so that the letters touch. 2. Now, you will notice that all my letters touch nicely, except for that “o”. I would also like to move the capital “R” closer to the other letters as well. So simply ungroup the letters, click on the letter layer you want to move and reposition the letter – and then group them together again. 3. Lastly, click on your word and then click on the weld in order to “glue” the letters together. Cricut does an excellent job at making sure the word is cut-ready and basically created one image by removing any overlapping cut lines. And now you are ready to cut or draw your image. See Easy! It is really important to weld your letters into one image when letters or shapes actually touch each other. Welding removes unnecessary cut lines and makes the image a lot simpler for your machine to work with. Before welding, you will basically have many layers of individual letters and when you click on ‘MAKE IT’ the machine will cut each letter out separately – which is not what we want – especially not with flowing text. Here is an example of what Design Space did to my word before I welded the letters. Even though I had the letters grouped, the software still saw them all as individual letters and mixed them up (you won’t have this issue if you didn’t have to ungroup your letters) – seems like a BIG job if you are working with vinyl. To make your life SO MUCH easier when you have letters that touch, you can simply “WELD” the letters together. You will notice all the layers will combine to form one image only. Now click on “MAKE IT” and you can an image that looks much easier to weed and work with. So much easier and smoother right!? Your font is now ready to cut or draw. And there you have it. 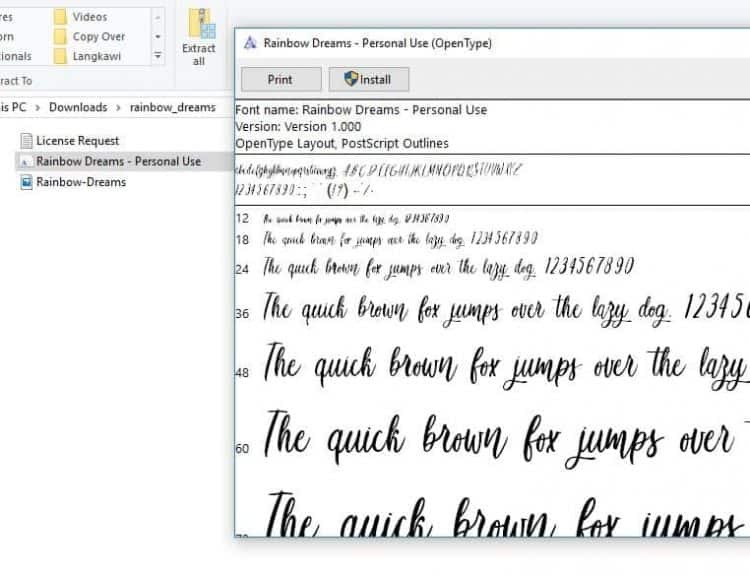 Our detailed guide to working with system fonts and Cricut Design Space. We have plenty of tutorials, reviews, guides and project ideas for you to browse in our Cricut Machine Hub. Hop over and check it out.